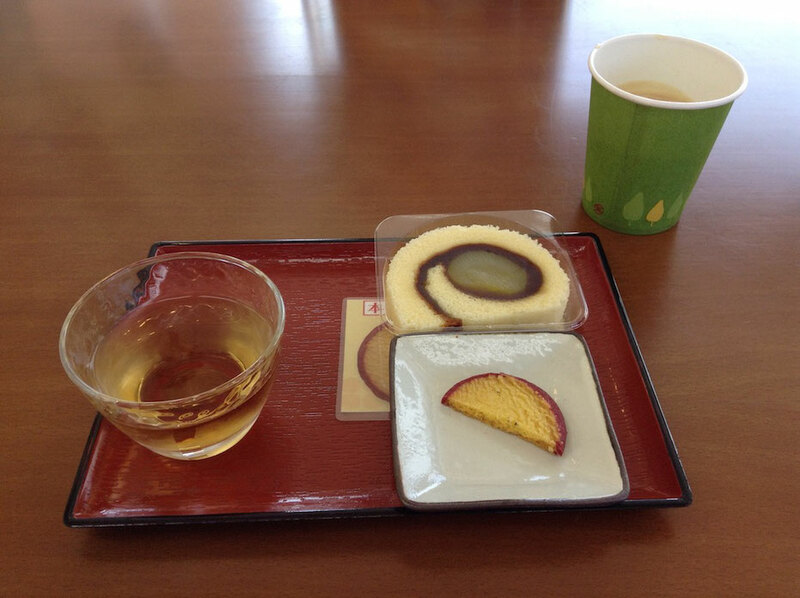 Ehime Tart, a sponge cake spread with sweet bean paste, has been made from Meiji Period in Ehime Prefecture, Japan. 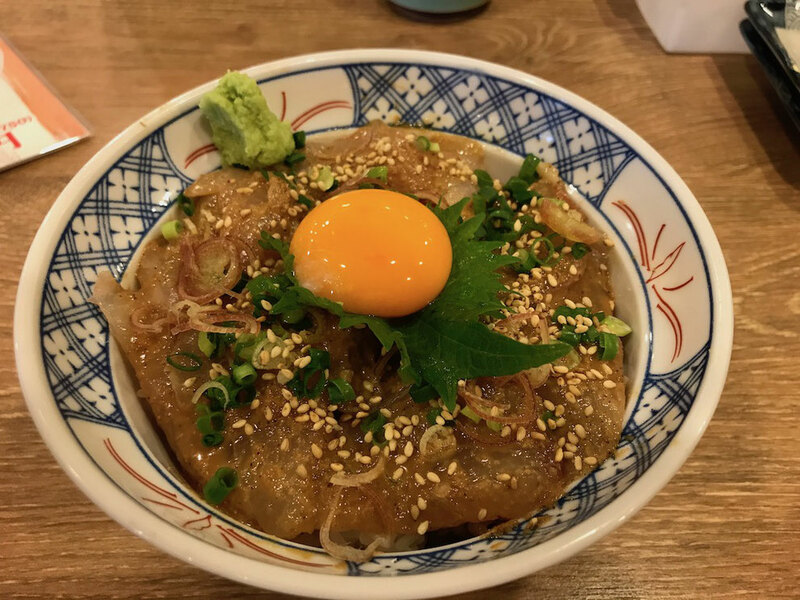 Sadayuki Matsudaira, the lord of Matsuyama, was taught recipe for European sweets in Nagasaki and he thought recipe for Ehime Tart in Edo Period. 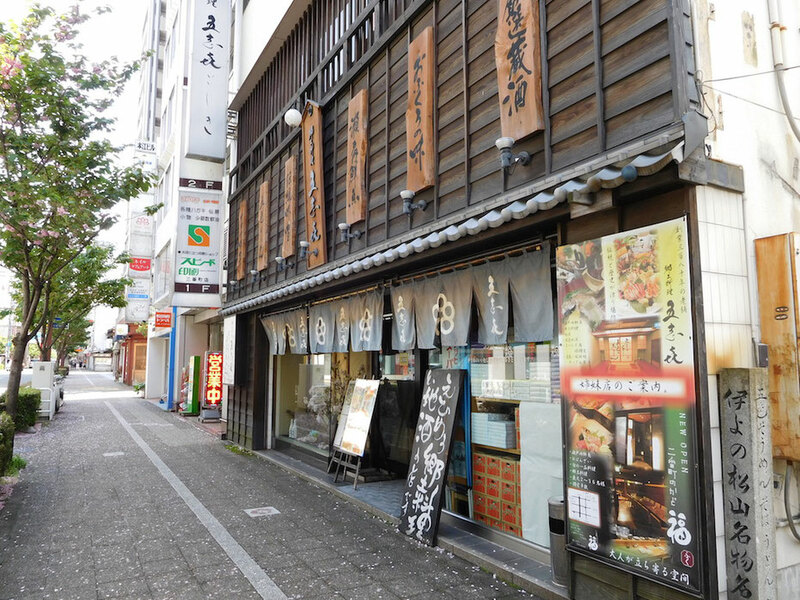 In Meiji Period, Matsudaira(Hisamatsu) Family taught Matsuyama City's confectioners recipe for Tart, and Tart was spread over Ehime Prefecture. I introduce famous shops of Tart. 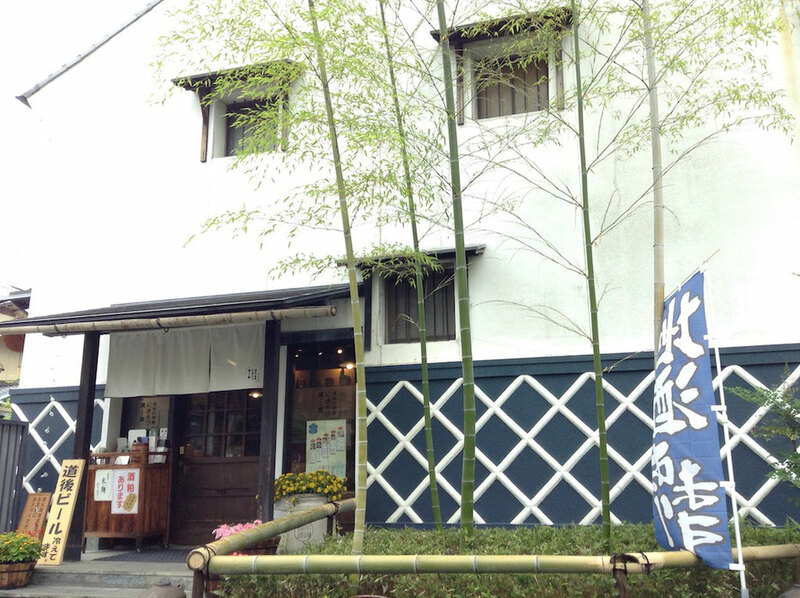 I went to "Ichiroku Honpo Dogo-Honkan-Mae" across from Dogo Onsen(Hot spring) Honkan(Main Building). 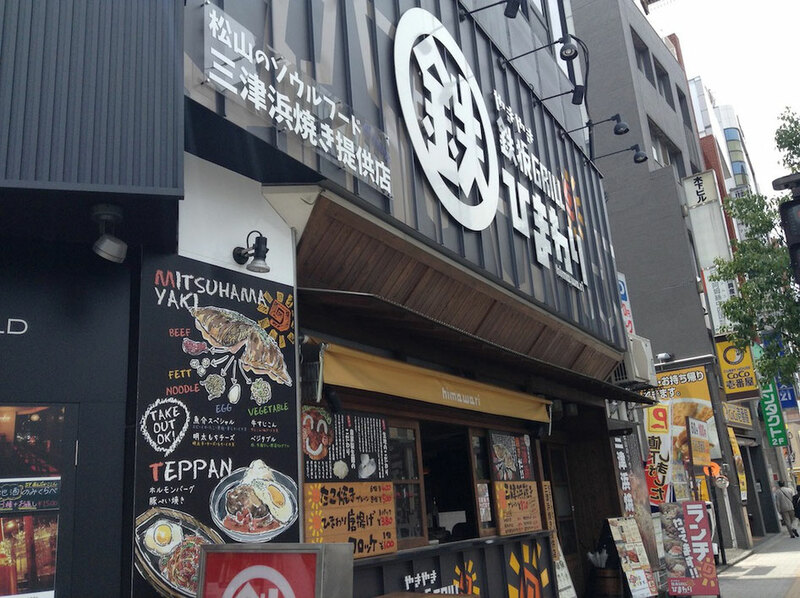 Ichiroku Honpo is one of the long established companies making Tart . 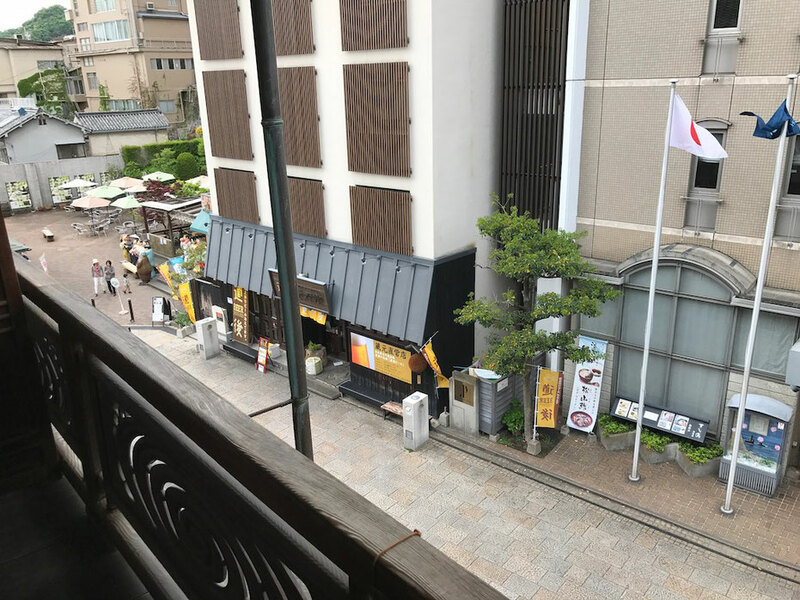 "Ichiroku Honpo Dogo-Honkan-Mae" has "Ichiroku Saryo", a cafe on the 2th floor. 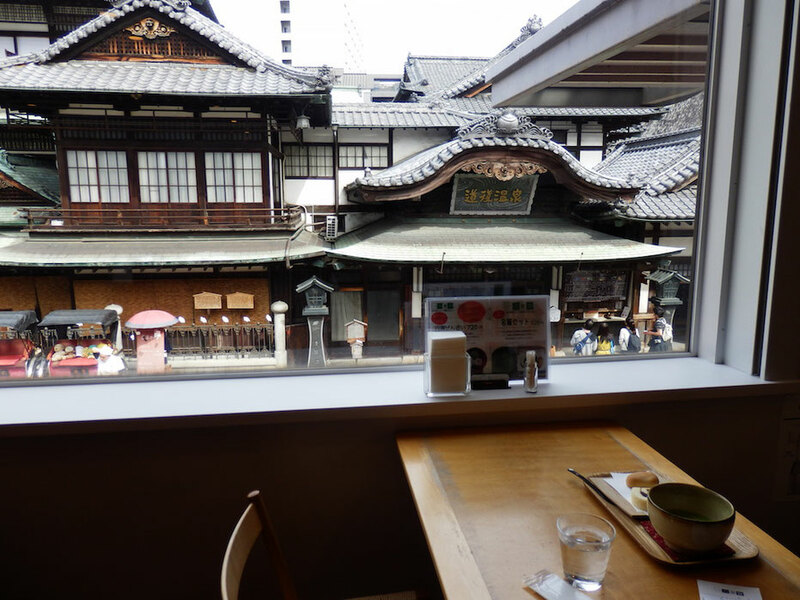 We can eat sweets seeing Dogo Onsen(Hotspring) Honkan(Main Building) in Ichiroku Saryo. 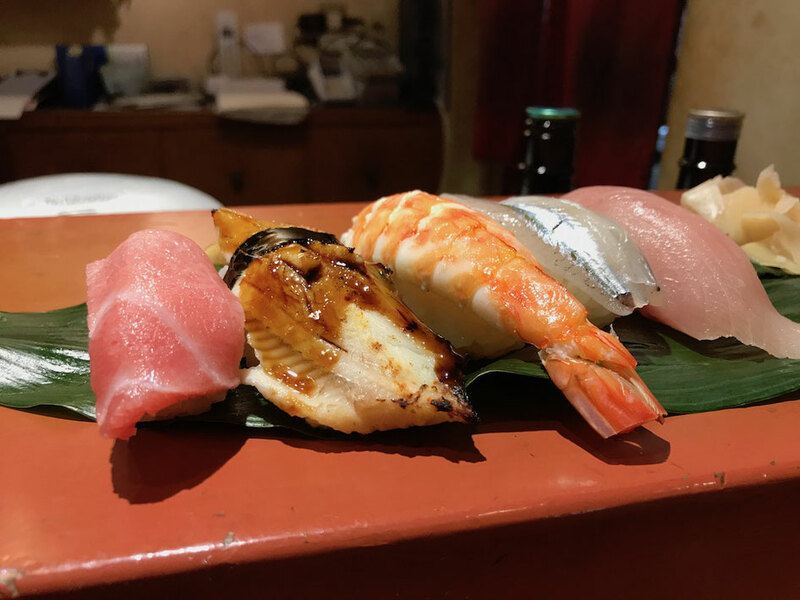 This is "Meika Set", a famous menu of Ichiroku Saryo. 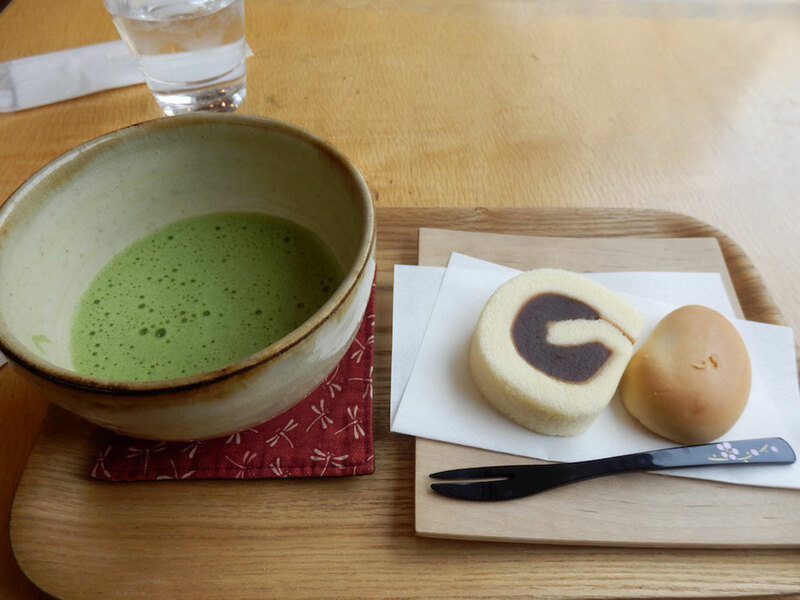 It has green tea, Tart and other Japanese sweets. 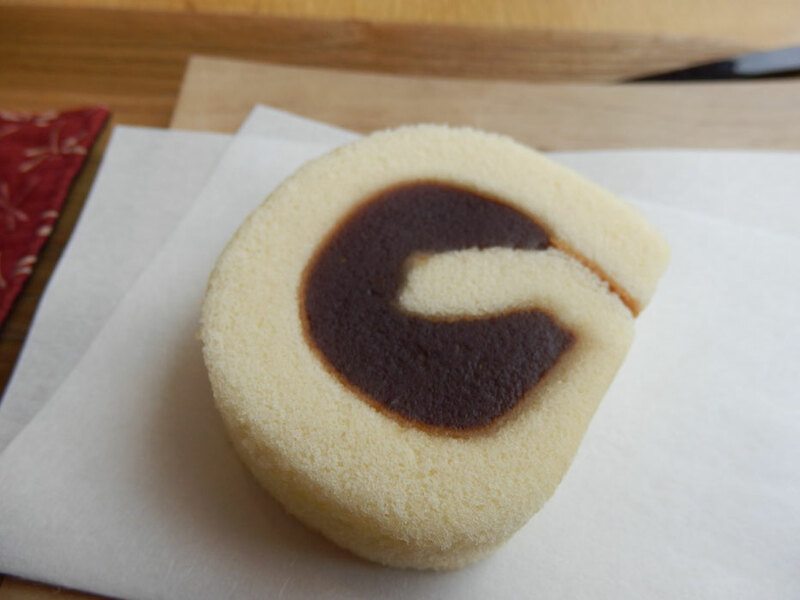 A sponge cake has a little peculiar flavor and been paste is sweet. 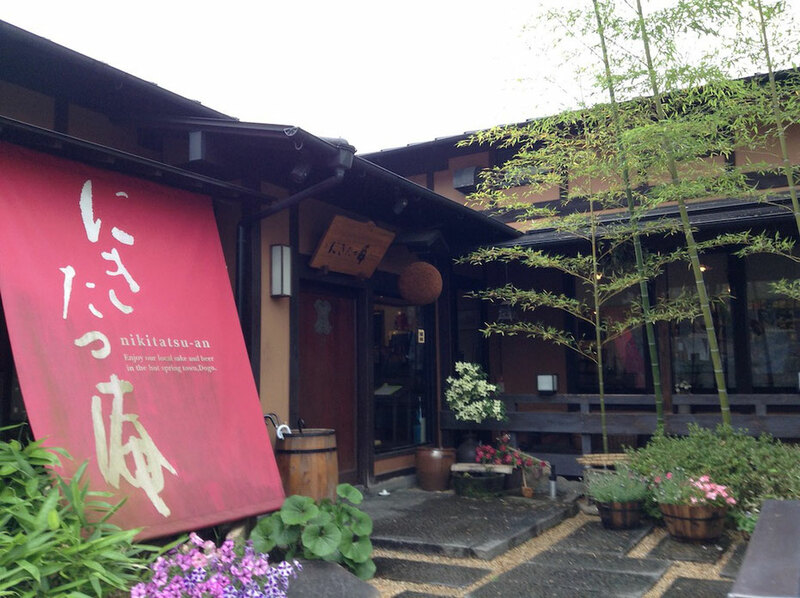 After, I went to "Rokujiya Dogo" near Dogo Onsen(Hot spring). Rokujiya is one of the long established companies making Tart, too. 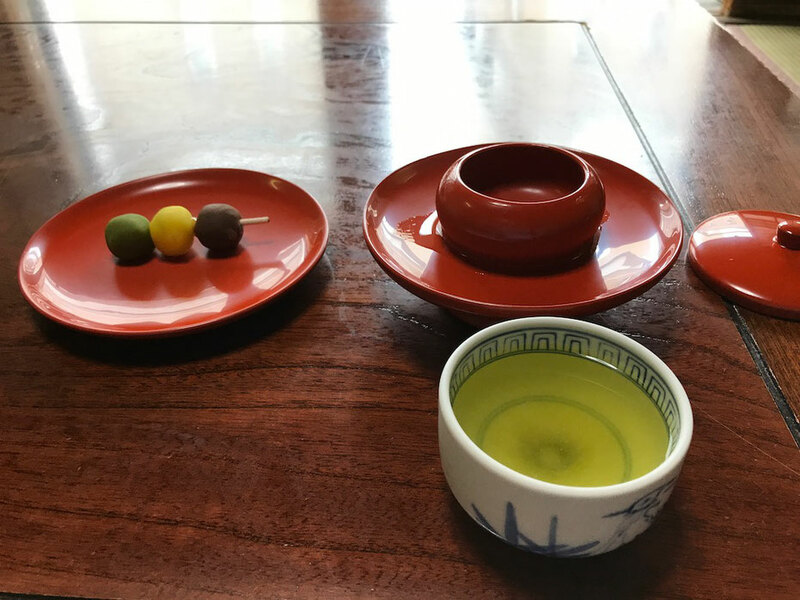 We can have green tea and Tart Set at Rokujiya Dogo. 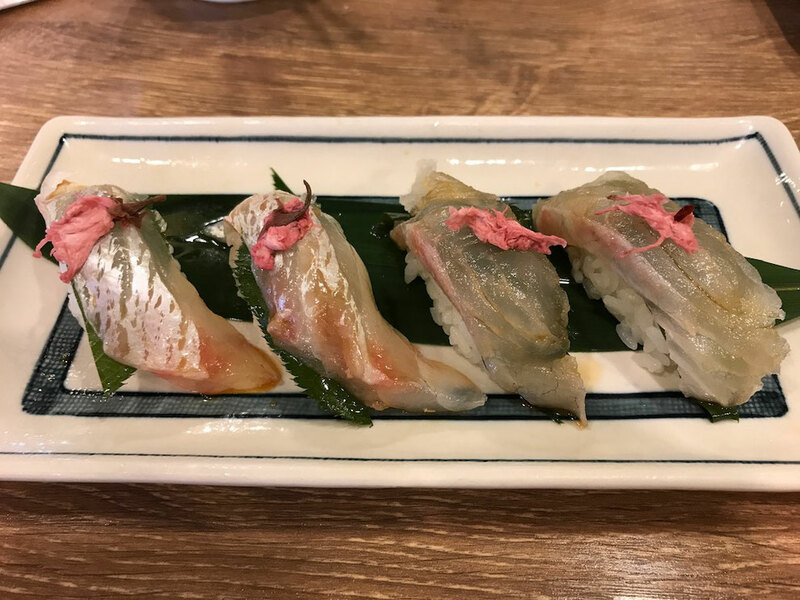 This is Rokujiya Tart. 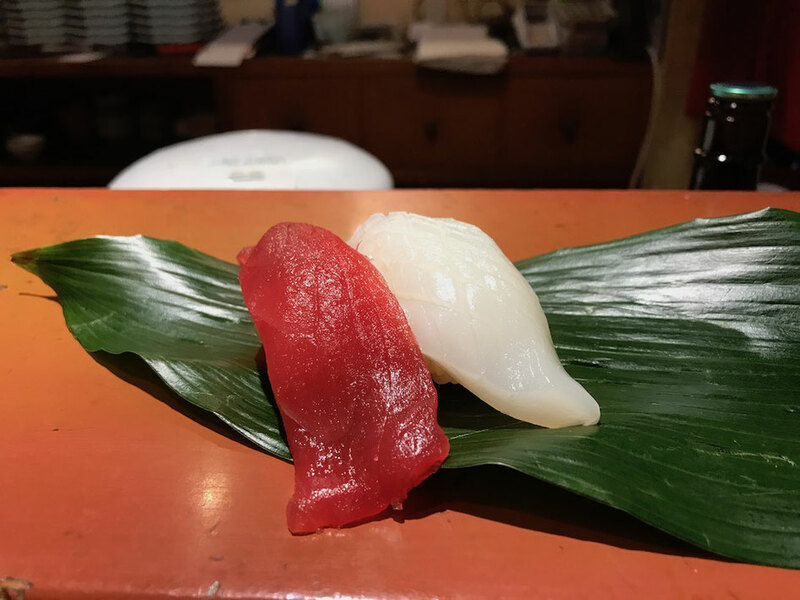 I felt that Rokujiya Tart has a little sweeter than Ichiroku Tart. 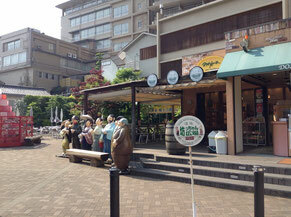 At last, I went to "Hatada Dogo" near Ehime Prefectural Civic Cultural Center(Himegin Hall) in Matsuyama City. 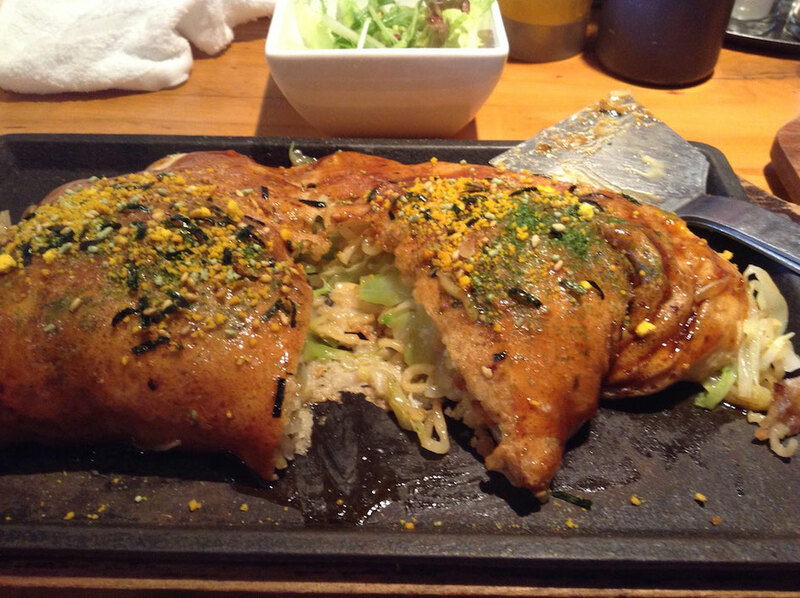 Hatada serves "On Kuri Tart", a Tart including a big chestnut. 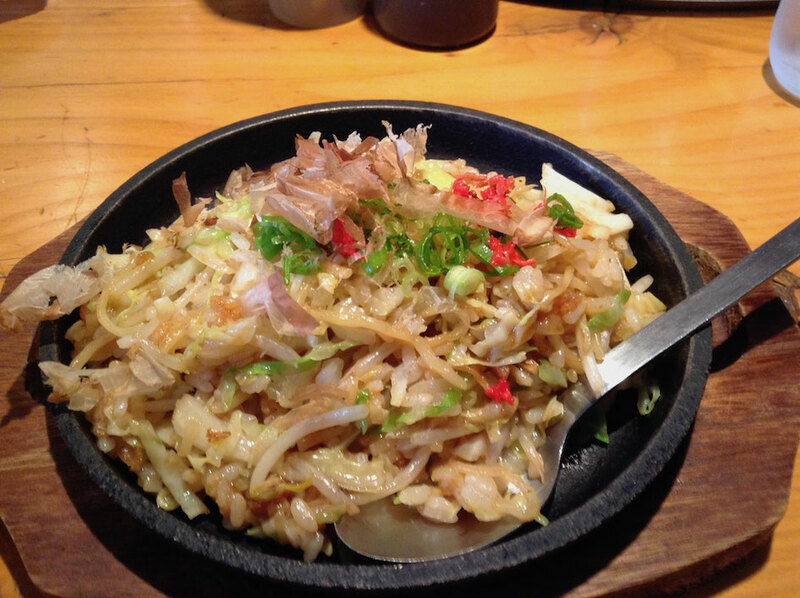 This is "On Kuri Tart". A big chestnut is nice. 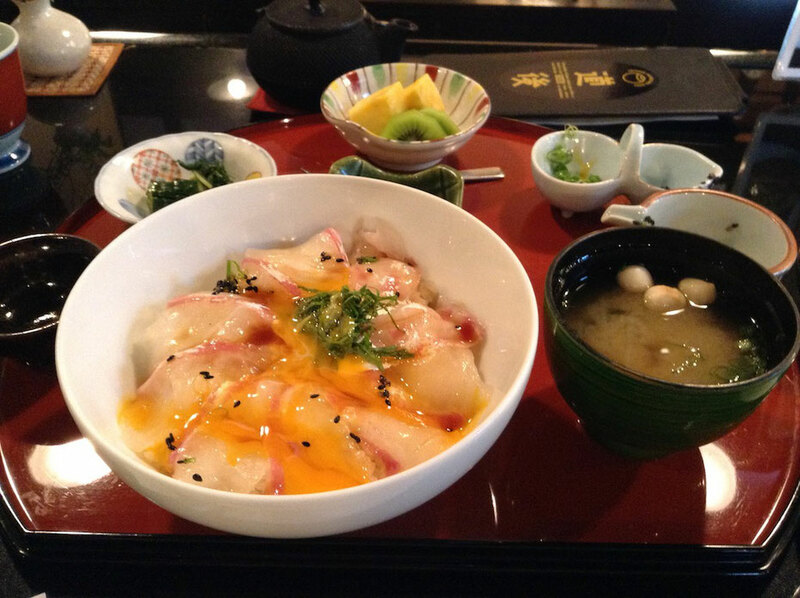 Tai Meshi, a local food of Ehime Pref. 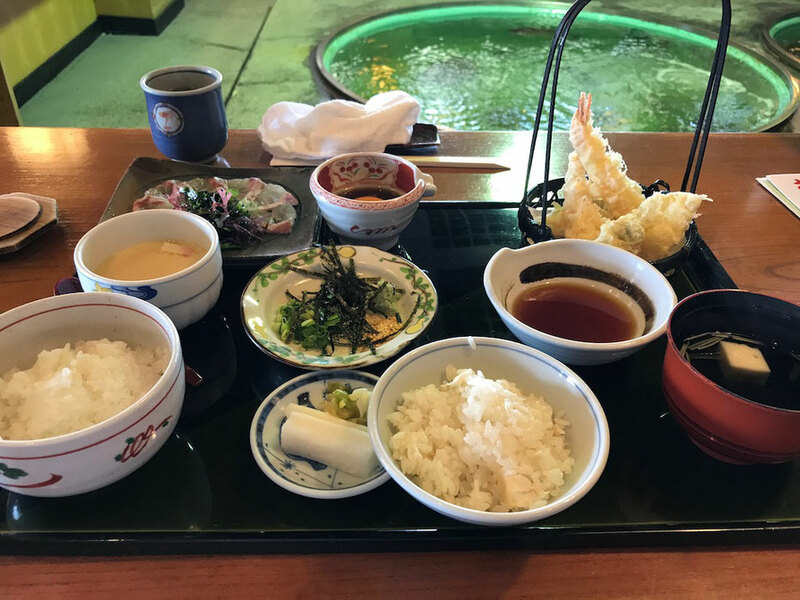 I went to "Kaisen Hokuto", a famous restaurant in Matsuyama City, Ehime Prefecture, Japan. 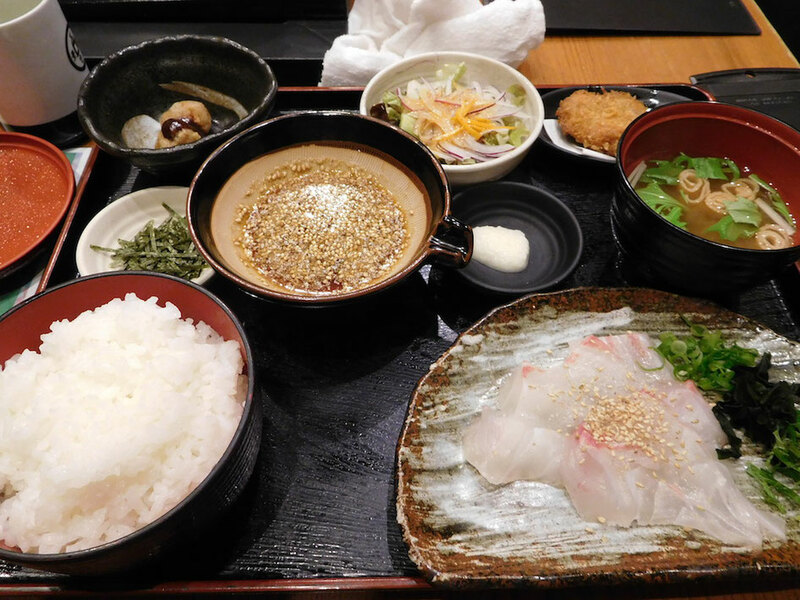 It serves "Tai Meshi"(rice with minced red sea bream), a local dish of Ehime Prefecture. 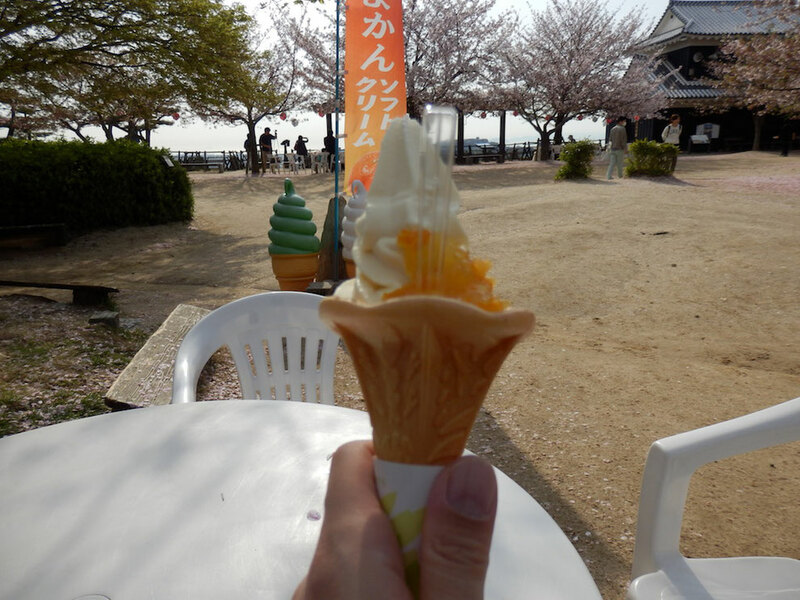 And it is the seashore region and we can eat dish seeing beautiful sea. 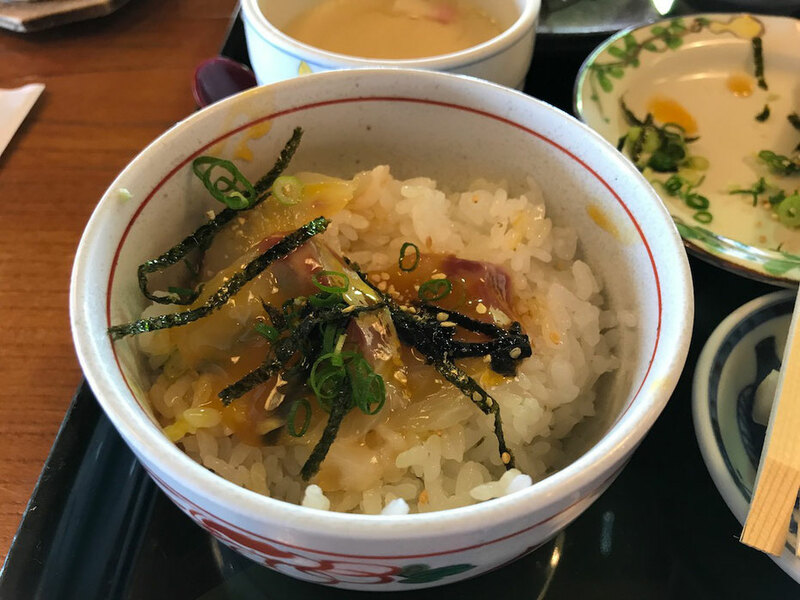 "Tai Meshi" can be classified into two categories, one of category of "Tai Meshi" is based on Hojyo region and another category is based on Uwajima region. 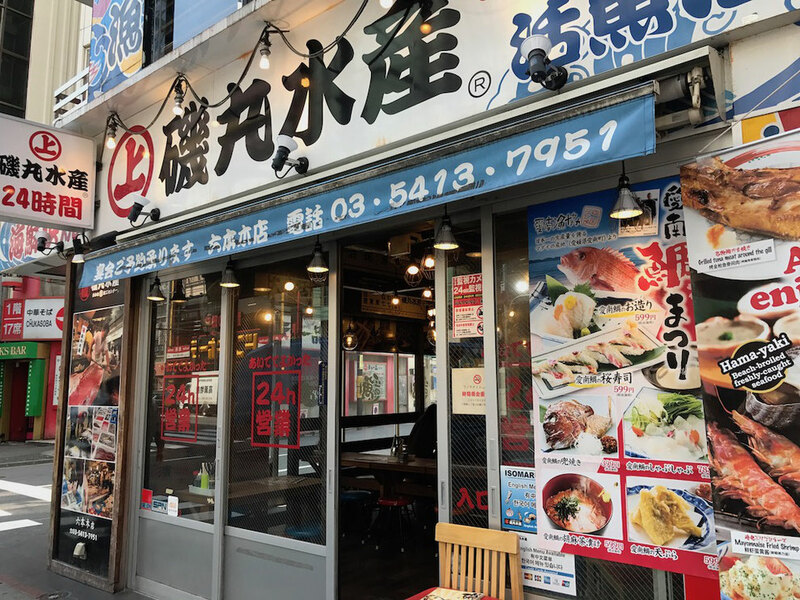 This restaurant's "Tai Meshi Hime Zen" has both two types of "Tai Meshi". 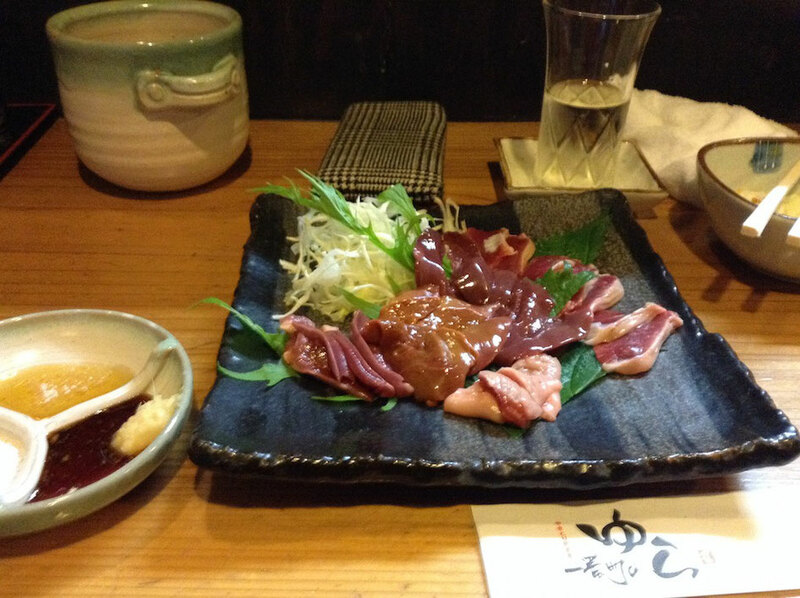 This is "Hojyo Tai Meshi". 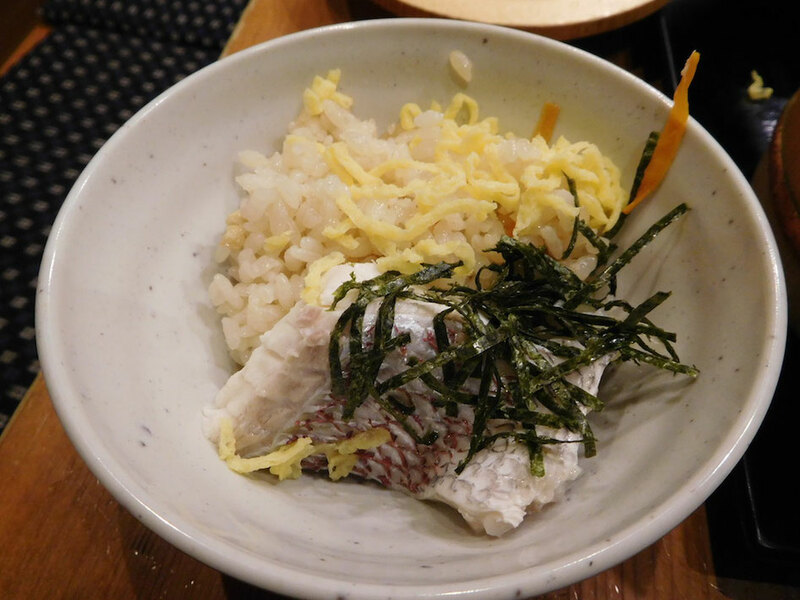 It is rice seasoned with kelp soup stocks and boiled with sea bream. 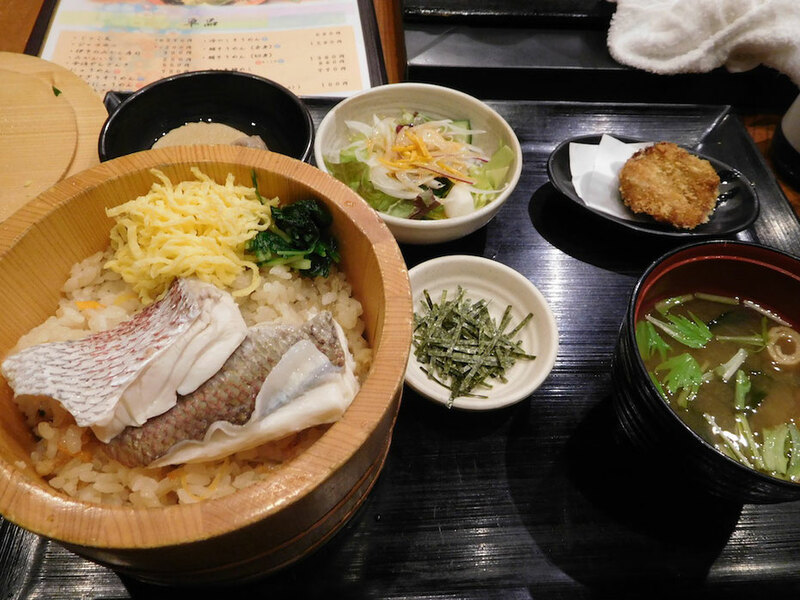 Boiled sea bream is tender and sweet. 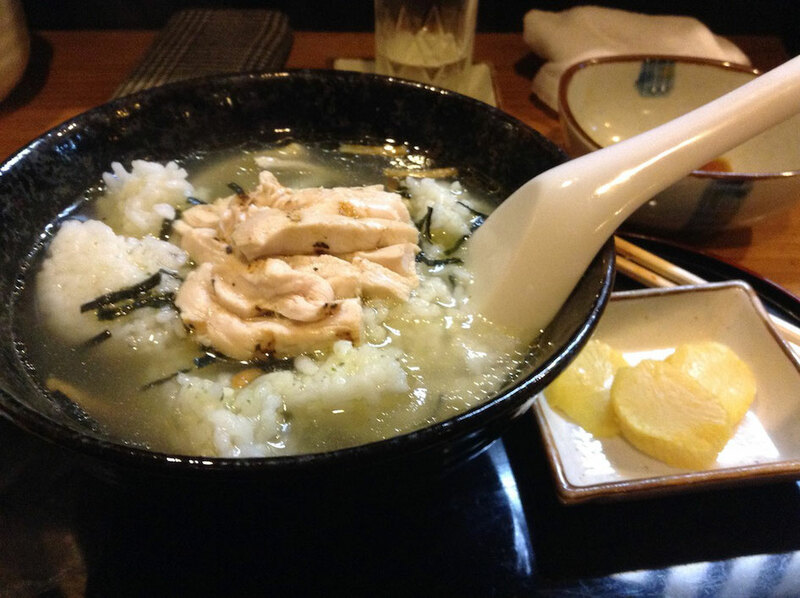 Rice seasoned with kelp soup stocks is delicious, too. 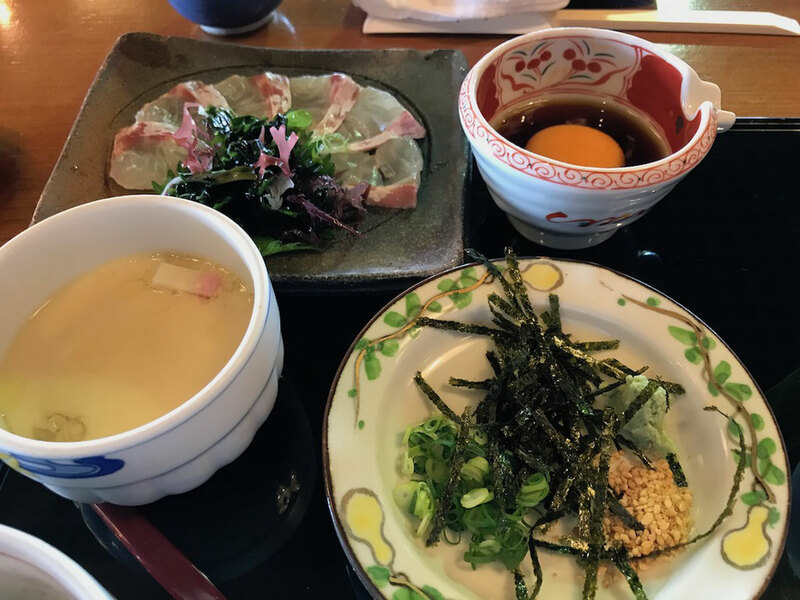 This is "Uwajima Tai Meshi". 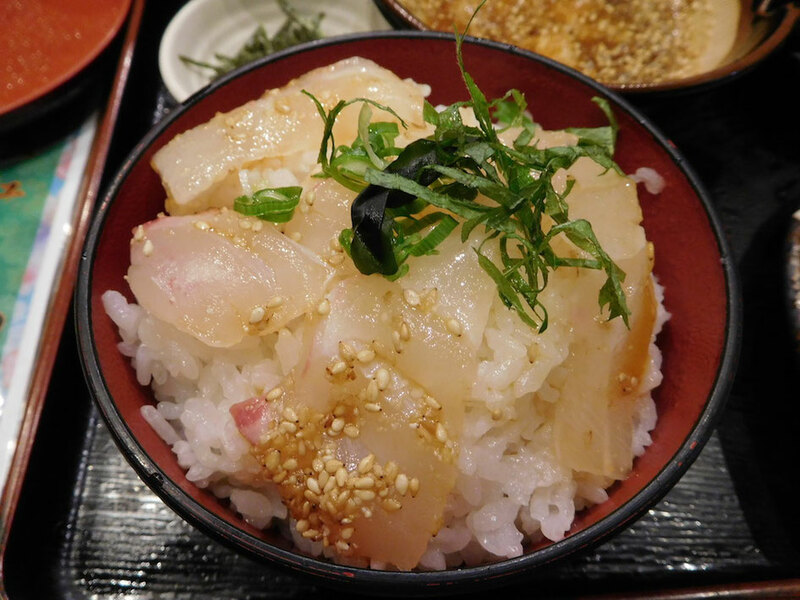 It is raw sea bream on the top of rice with special sauce, mixed with egg. 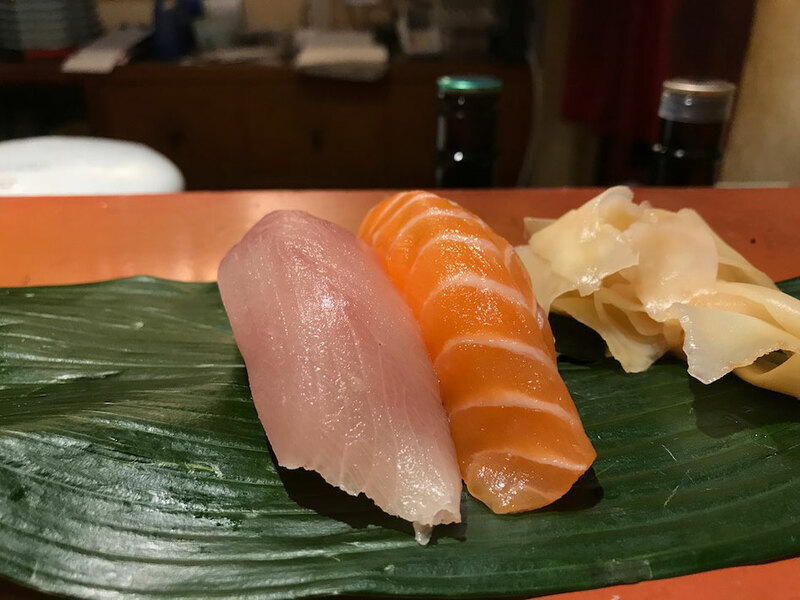 Raw sea bream is chewy and sweet. 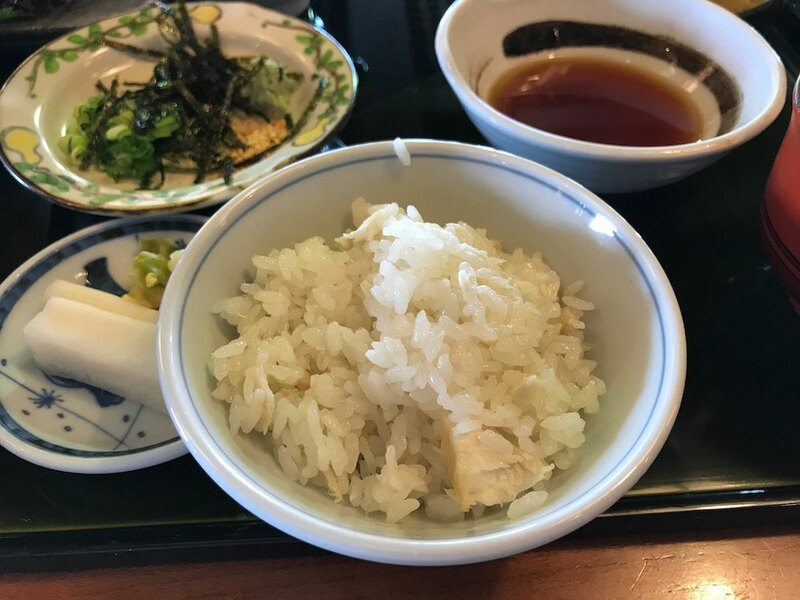 Special sauce and egg suit rice and sea bream. 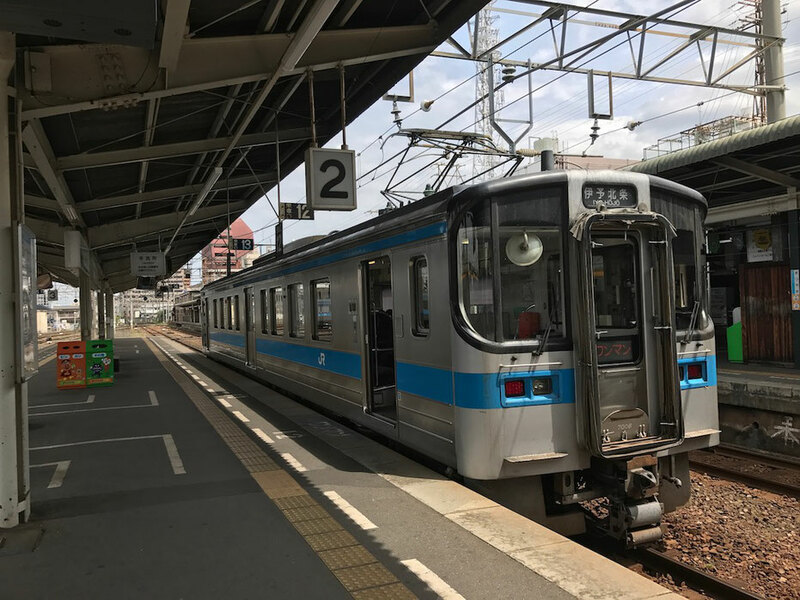 I took JR Yosan Line from Matsuyama City to Kaisen Hokuto. 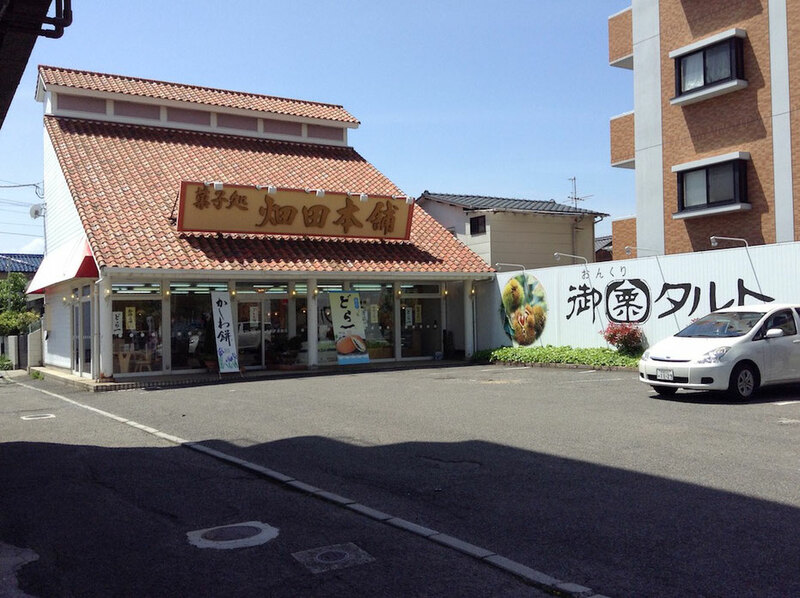 Nearest Station is Koyodai Station, and it is five minutes walk to Kaisen Hokuto from Koyodai Station. 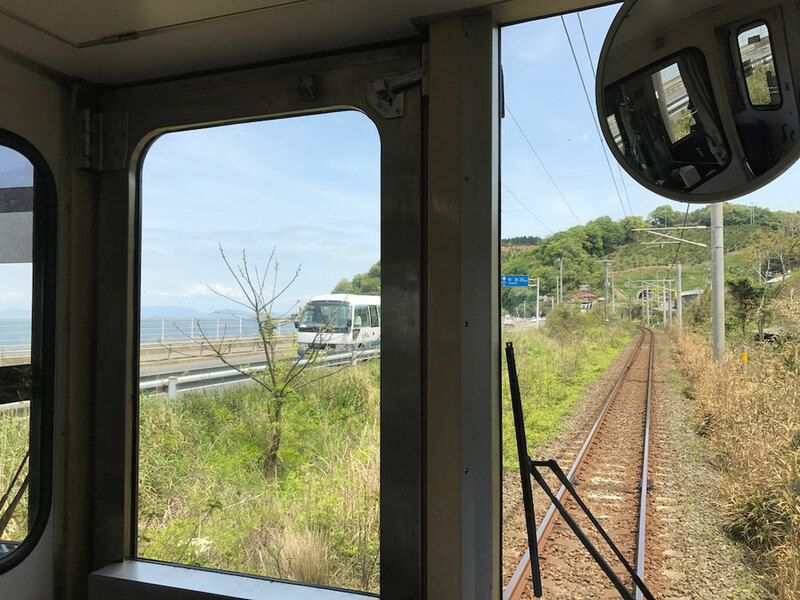 We can see beautiful sea from inside the train. 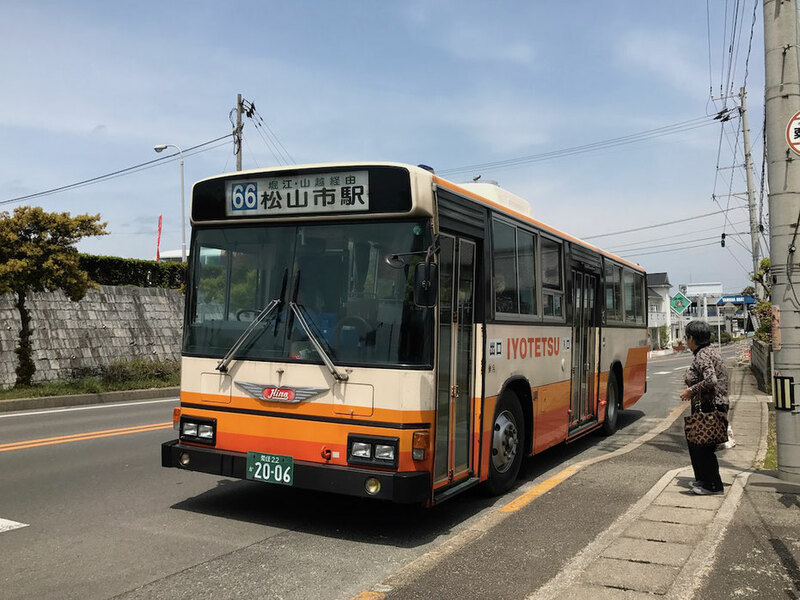 I took Iyotetsu Bus from Kaisen Hokuto to the center of Matsuyama City. It is 30 minutes to Matsuyamashi Station from Kaisen Hokuto. 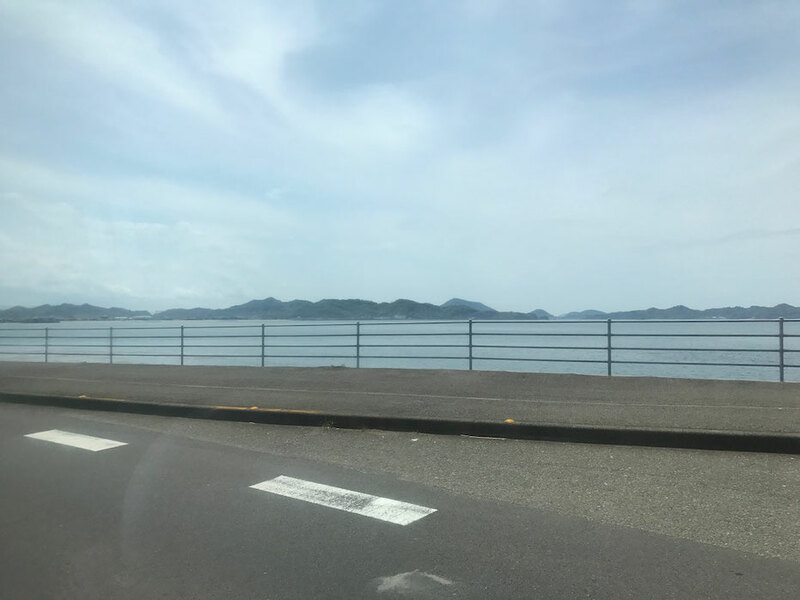 We can see beautiful sea from inside the bus. 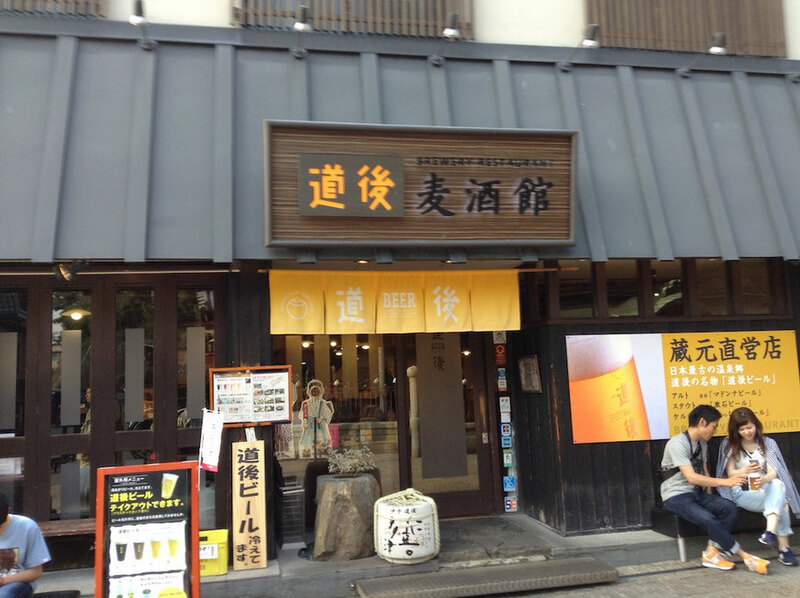 This is "Dogo Bakushu Kan", a bar serving "Dogo Beer", a local beer of Dogo, Matsuyama City, in front of Dogo Onsen(Hot spring) Honkan(Main Building). 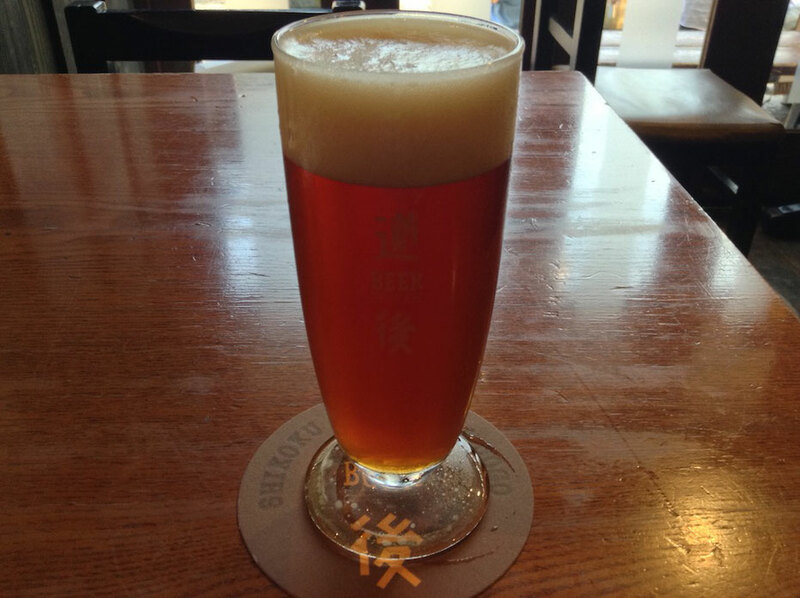 It is nice to drink "Dogo Beer" after taking Dogo Onsen(Hot spring). 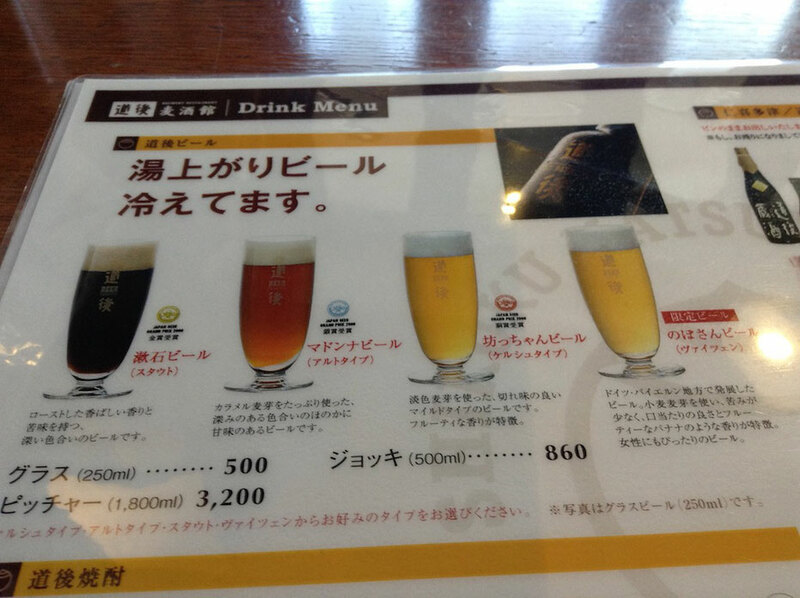 Dogo Beer has four types, "Botchan Beer"(Kolsch), "Madonna Beer"(Altbier), "Souseki Beer"(Stout) and "Nobosan Beer"(Weizenbier). 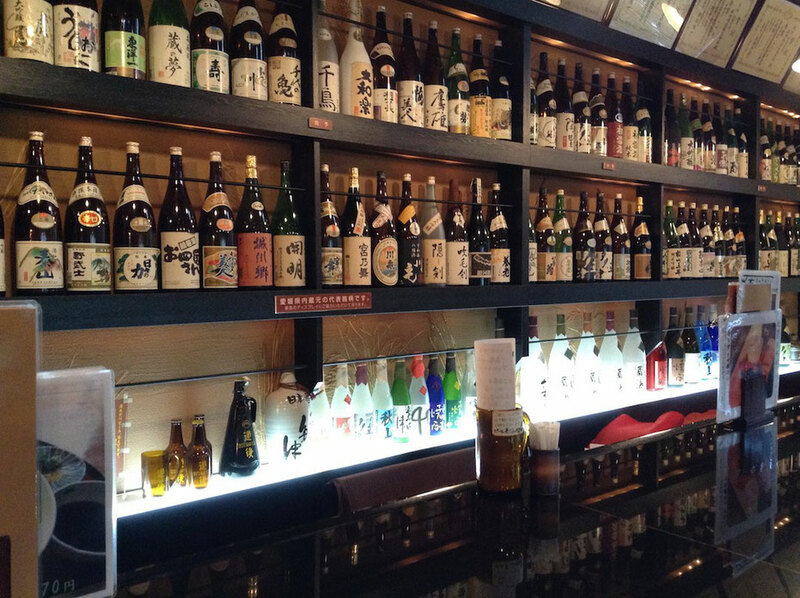 Dogo also has local sake(Japanese rice wine). 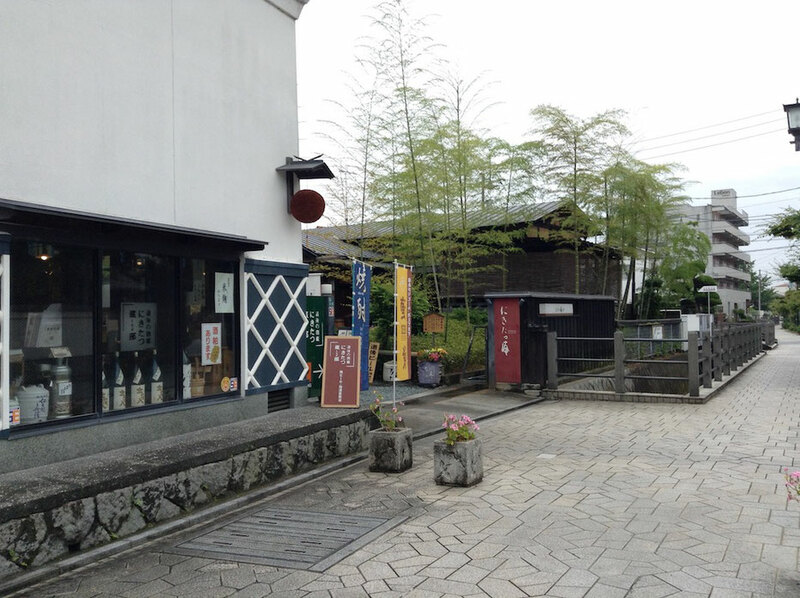 There is "Mizuguchi Shuzo", a sake maker, along Nikitatsu street which is walk of approximately 5 minutes from Dogo Onsen(Hot spring) Honkan(Main Building). 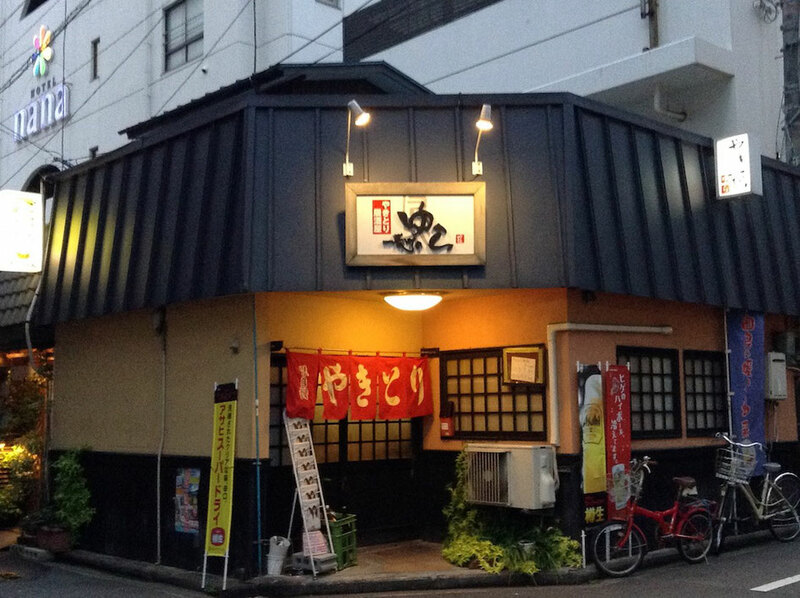 It has a sake shop and a restaurant called "Nikitatsu-An". 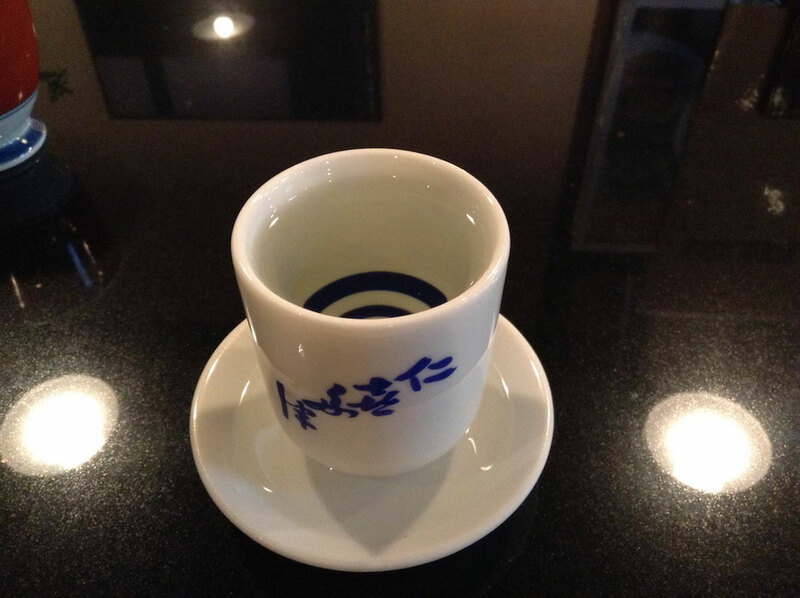 This is "Nikitatsu Daiginjyo", a speciality sake made by Mizuguchi Shuzo. It has very clear tastes. 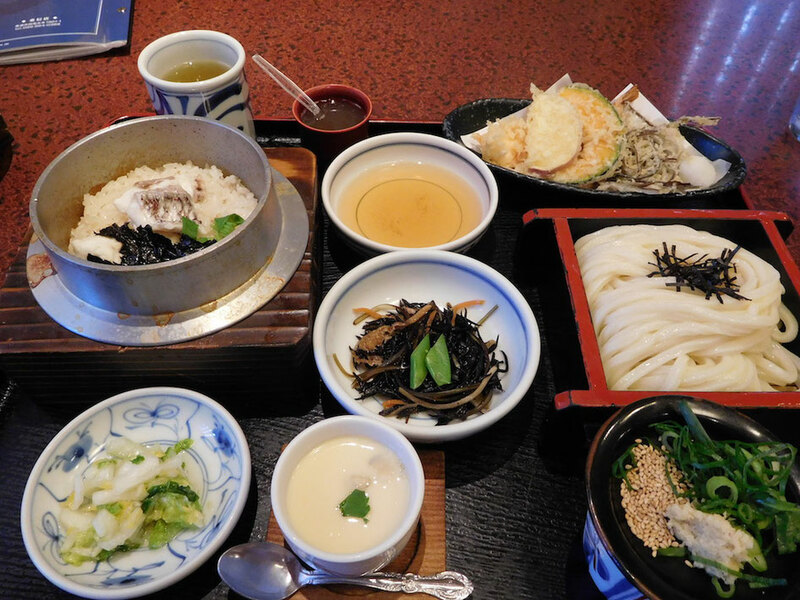 I ate "Uwajima Tai-meshi", a local food of Ehime Prefecture, Japan. 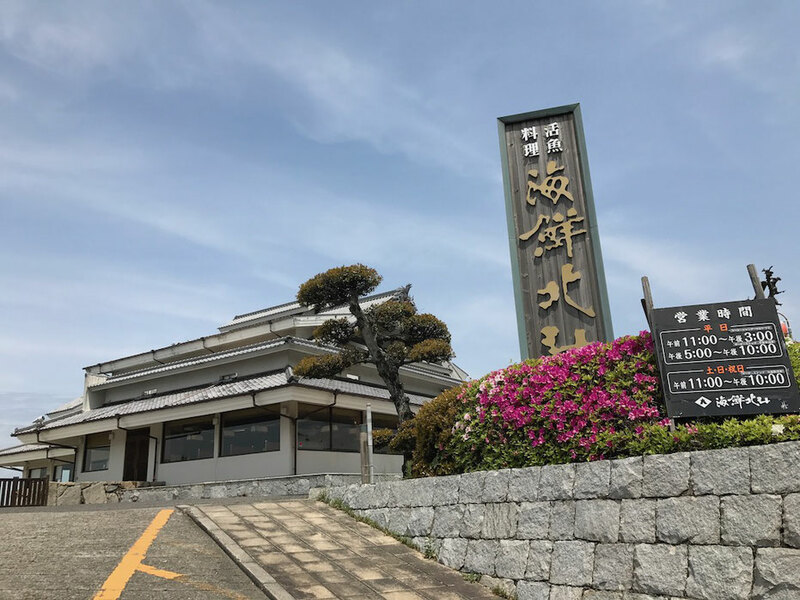 This is Dogo Onsen(Hot spring) Honkan(Main Building) in Matsuyama City, Ehime Prefecture, Japan. 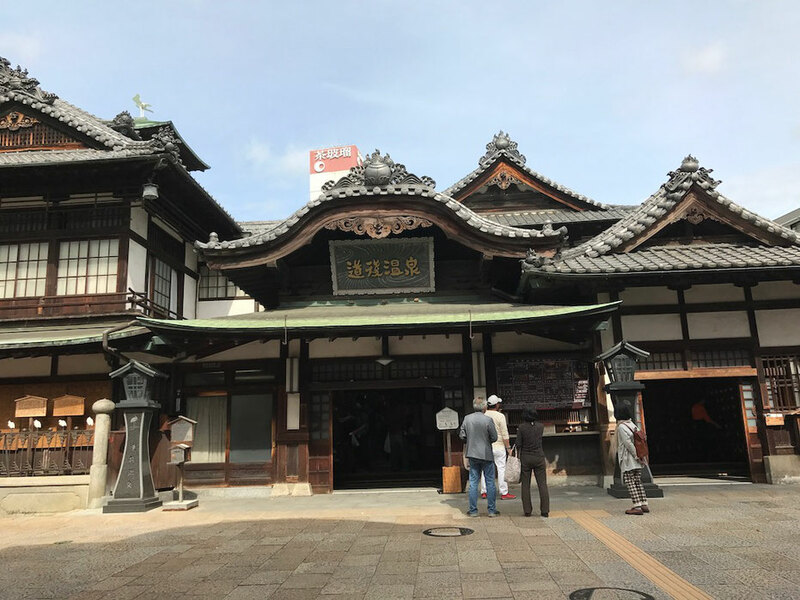 Dogo Onsen(Hot spring) is the most oldest hot spring of Japan and it was written by The Nihon Shoki, the book of classical Japanese history. 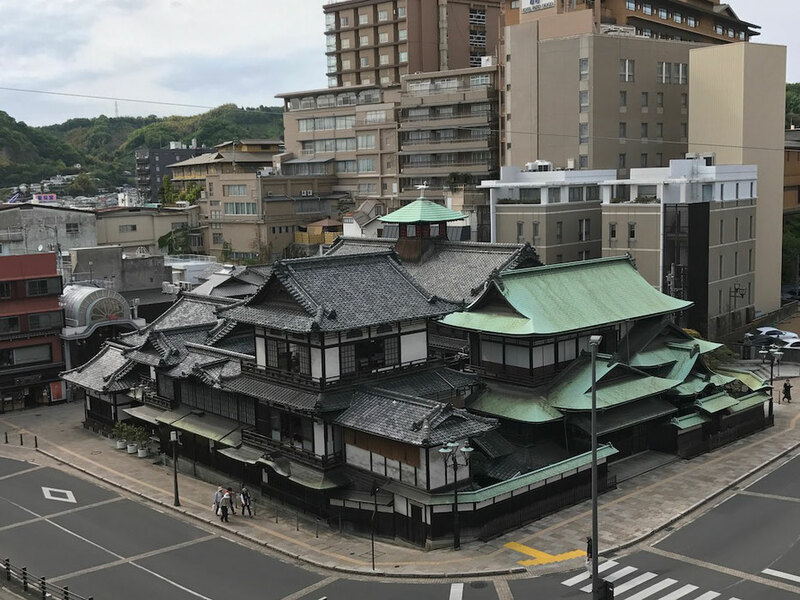 Dogo Onsen(Hot spring) Honkan(Main Building) was built in 1894, and it is said to become a bathroom of "Spirited Away". 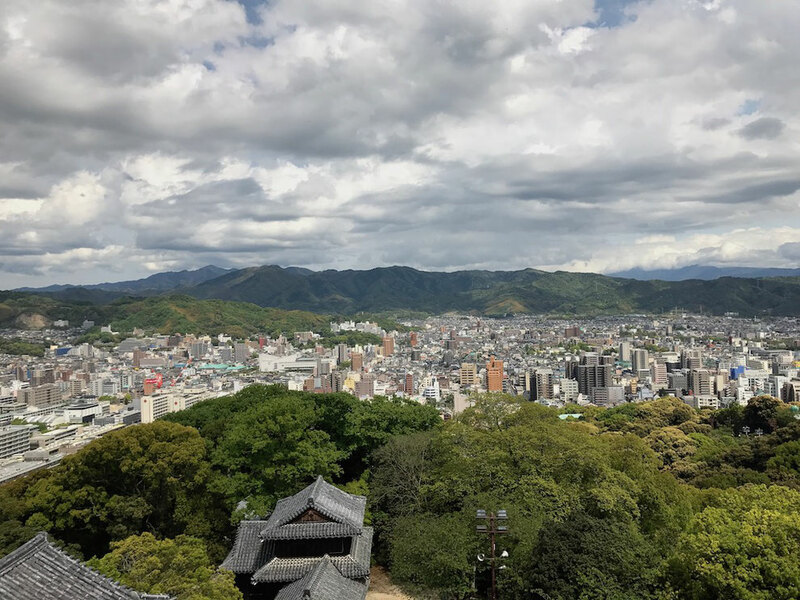 This picture is the full view of Dogo Onsen(Hot spring) Honkan(Main Building) from Yu-Shrine. Yu-Shrine is known as nice photographing point. 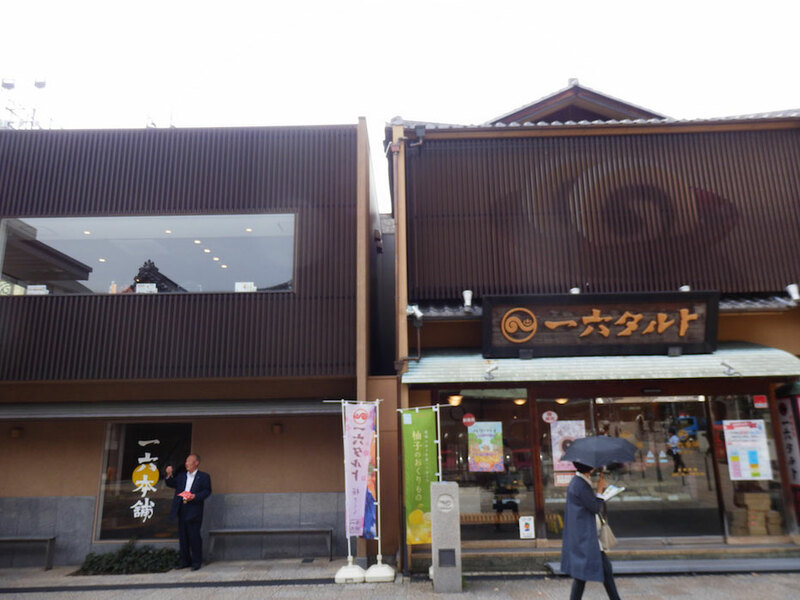 Dogo Onsen(Hot spring) Honkan(Main Building) has two types of bathroom, "Kami-no-Yu" and "Tama-no-Yu". 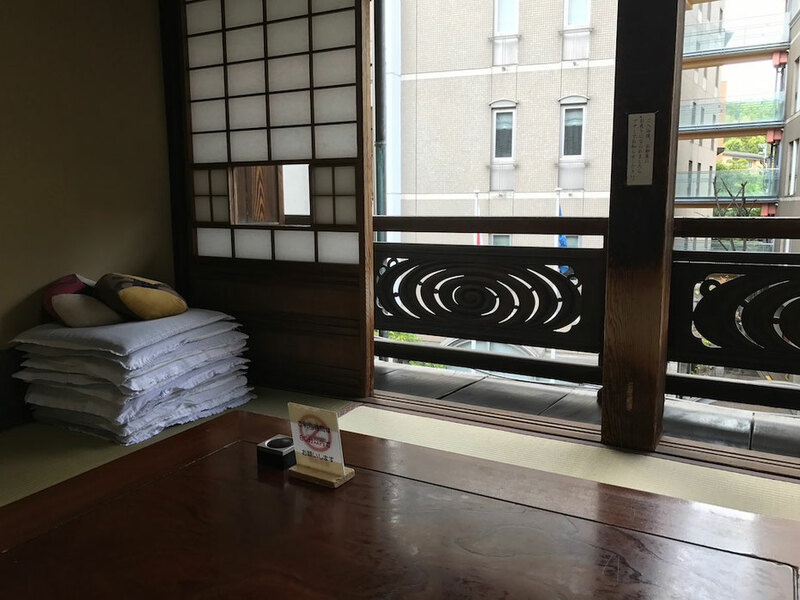 An entrance fee of "Kami-no-Yu" without a rest room is only 410 yen(about 370 - 410 U.S. dollars). This hot spring is orderless and slippery water, because hot spring's quality is a type of alkaline nature. Hot spring's temperature is about 42℃, and it is suitable. This is a rest room of 2F. It's the view from a rest room of 2F. This is a rest room of 3F. It's the view from a rest room of 3F. 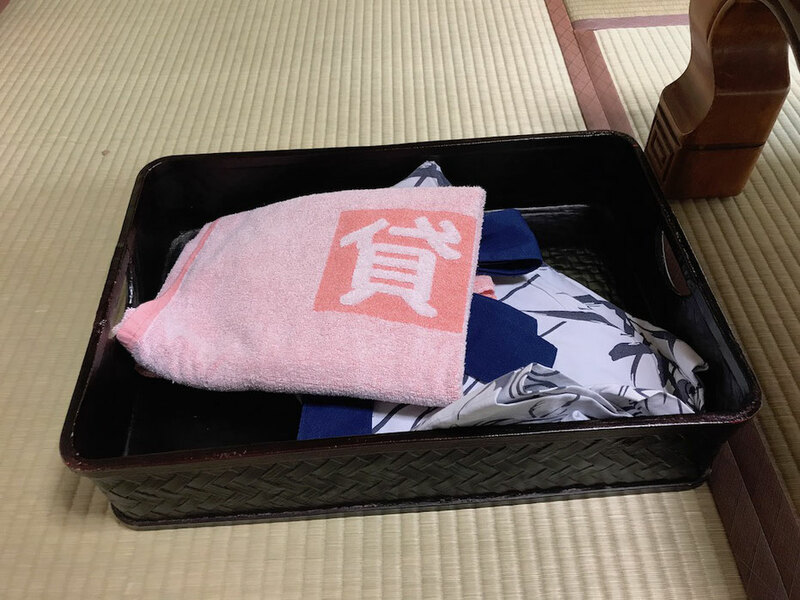 Yukata(an informal cotton kimono) is lent in a rest room(2F, 3F). 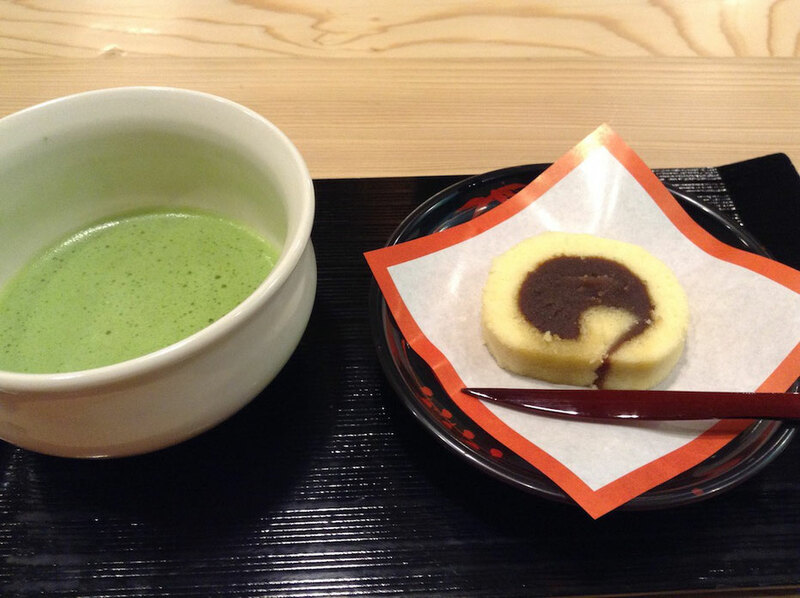 Japanese sweets and green tea are served after taking a bath in a rest room(2F, 3F). 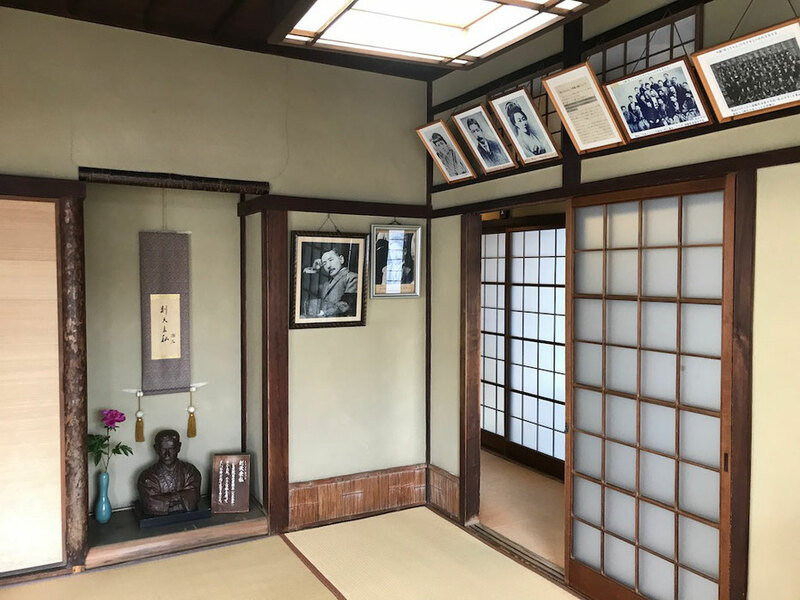 There is "Botchan-no-Ma", a room featured Soseki Natsume, a Japanese novelist, in 3F. 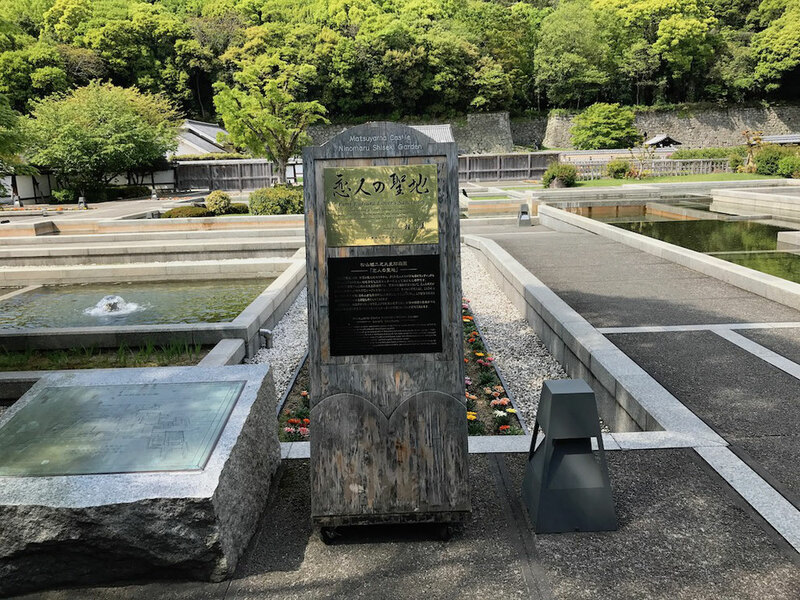 Soseki Natsume visited Matsuyama City as a teacher in 1895, and he wrote "Botchan", a novel set in Matsuyama City. 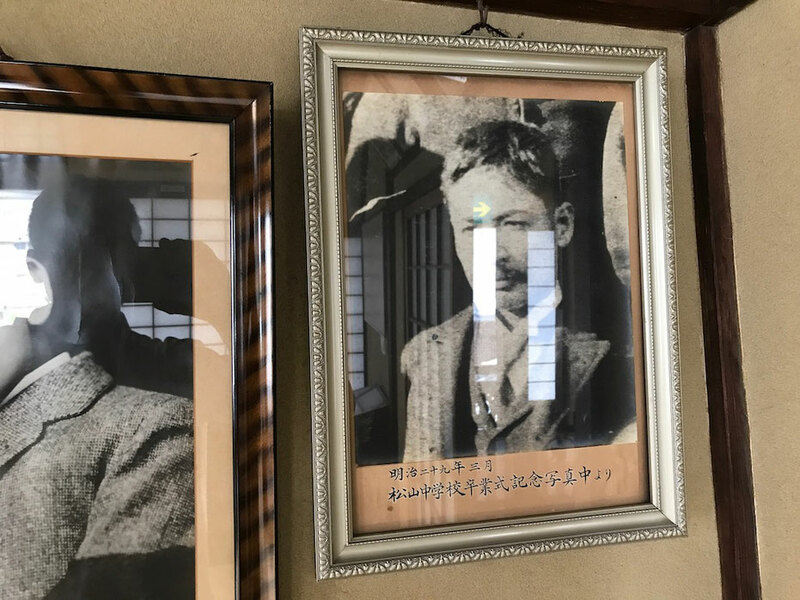 This is a photo of when Soseki Natsume was a teacher of Matsuyama City. 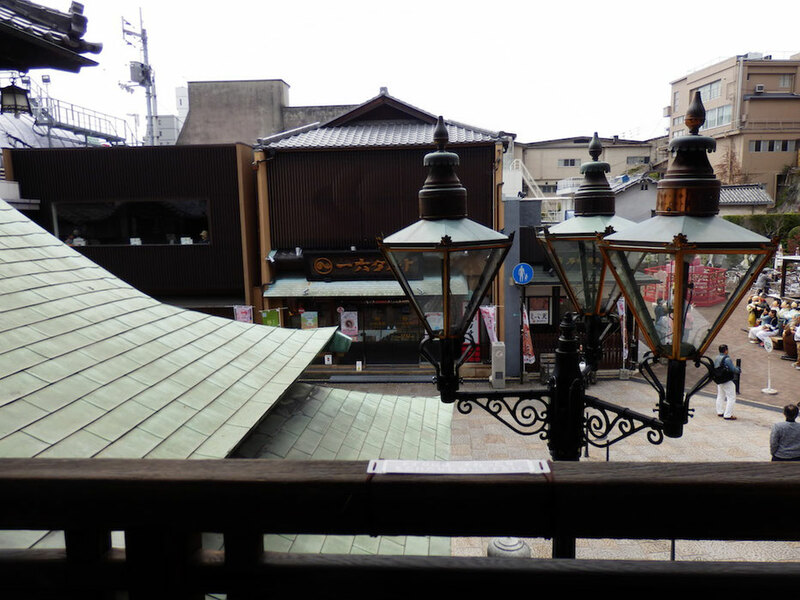 Dogo Onsen(Hot Spring) "Tsubaki-no-Yu" is located at a distance from Dogo Onsen(Hot Spring) Honkan(Main Building). 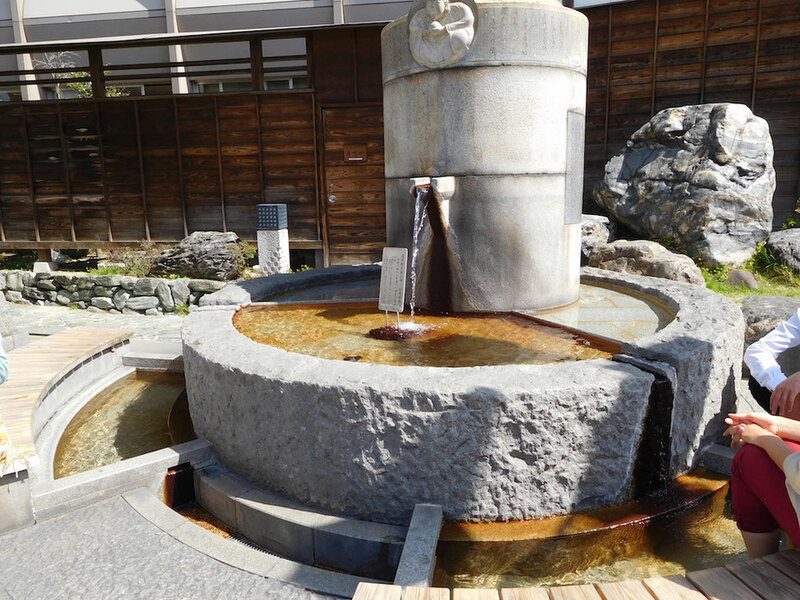 Hot spring of "Tsubaki-no-Yu" is as same as hot spring of Dogo Onsen(Hot spring) Honkan(Main Building). 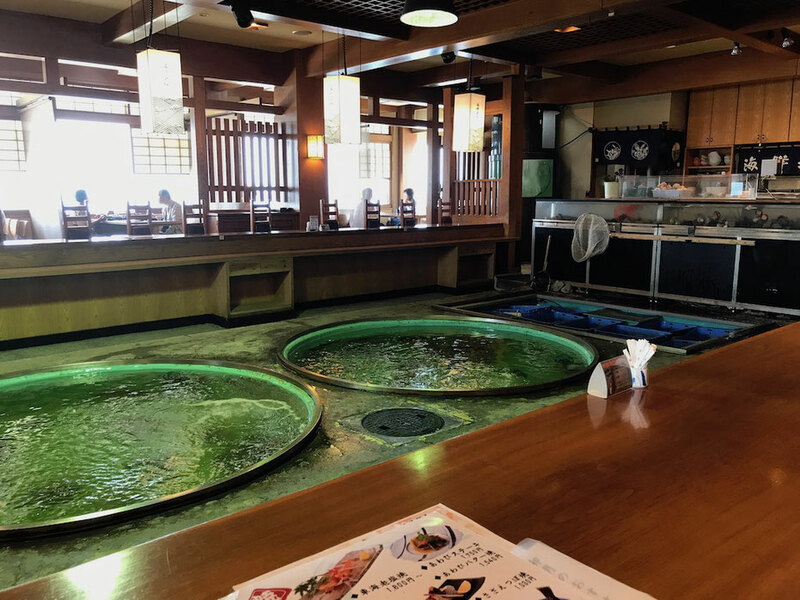 The Dogo Onsen Annex Asuka-no-Yu was opened in 2017 near Tsubaki-no-Yu. 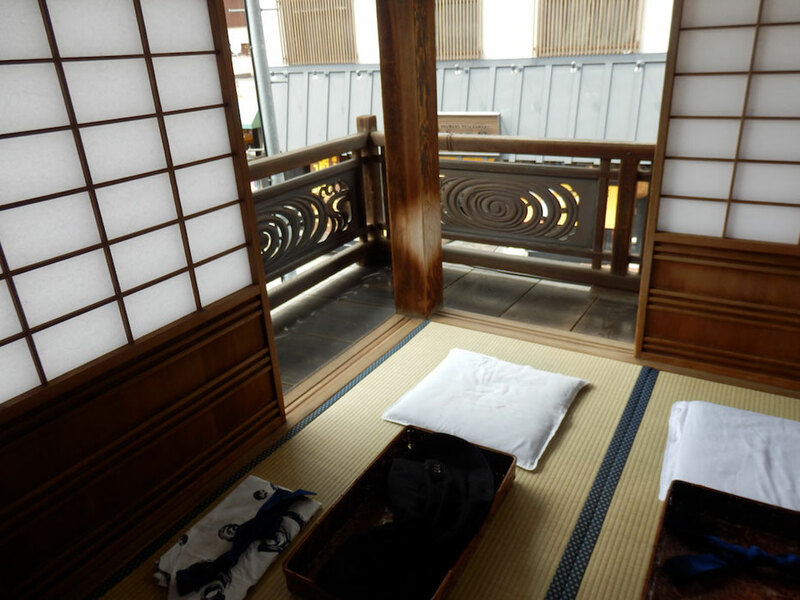 It is a new bathhouse constructed in the architectural style of the Asuka period. 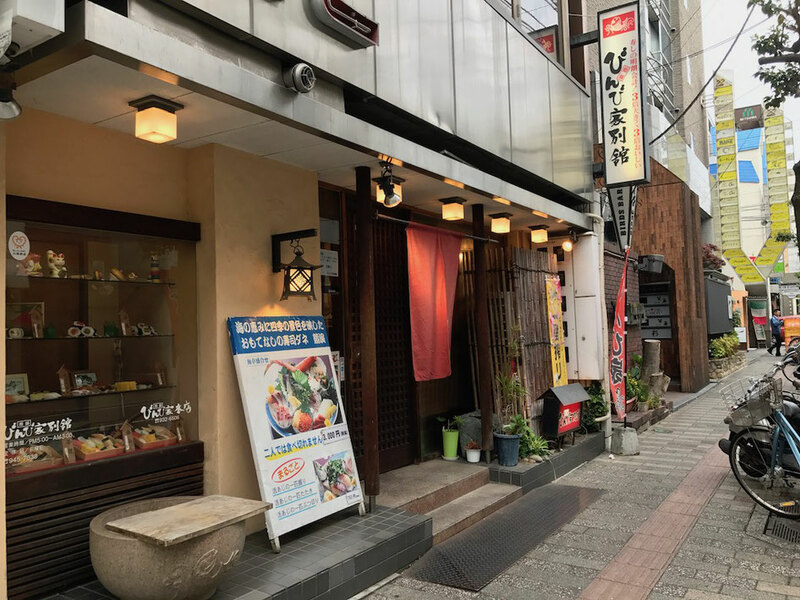 There are Dogo shopping street(another called "Dogo Haikara street"), "Botchan Park"(restaunts), and "Dogo Bakushu Kan"(a bar served Dogo's local beer) around Dogo Onsen(Hot spring) Honkan(Main Building). 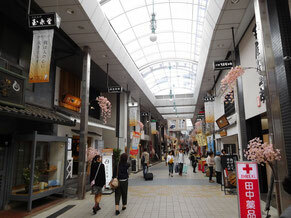 We can enjoy shopping and eating after taking a bath. 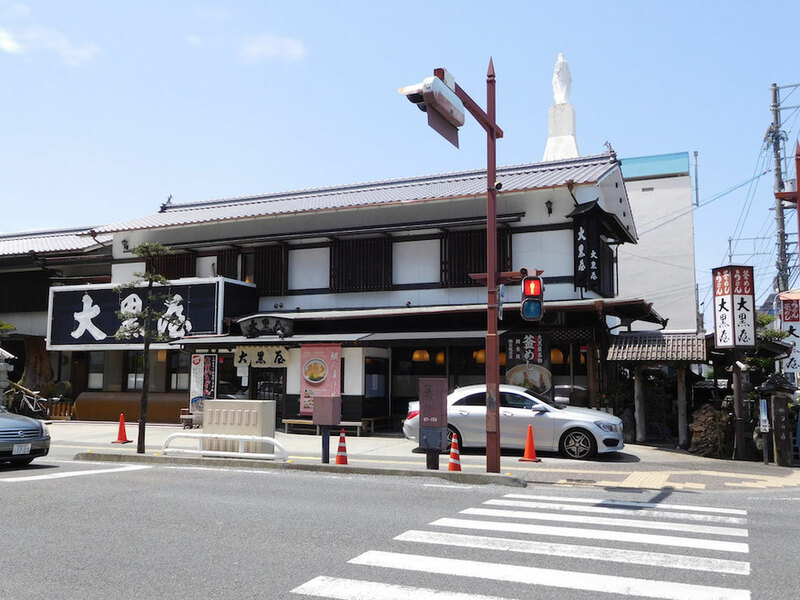 And there is Hojyoen Square near the entrance of Dogo shopping street and Iyo Railway's Dogo Onsen Station. 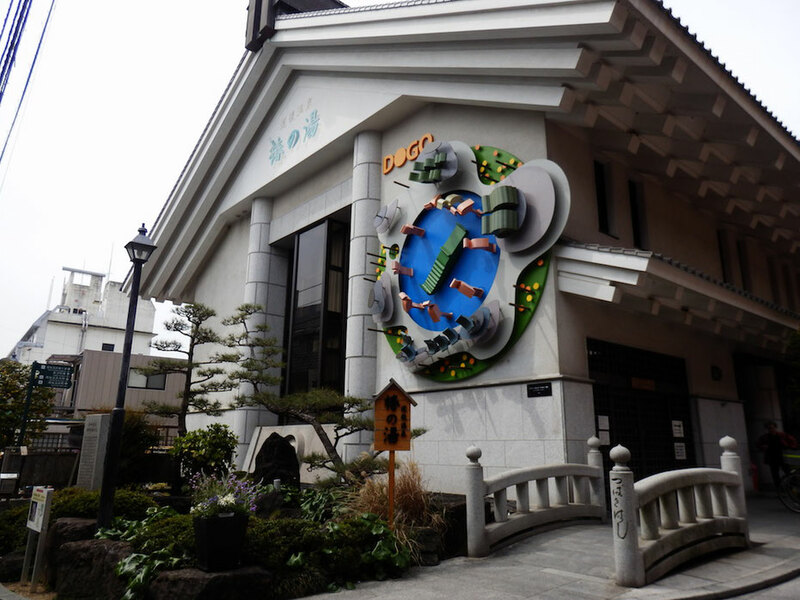 Hojyoen has a foot bath using hot spring water of Dogo Onsen(Hot spring) Honkan(Main building) and "Botchan Karakuri Clock" featuring figures based on the main characters of "Botchan"(a novel written by Soseki Natsume). 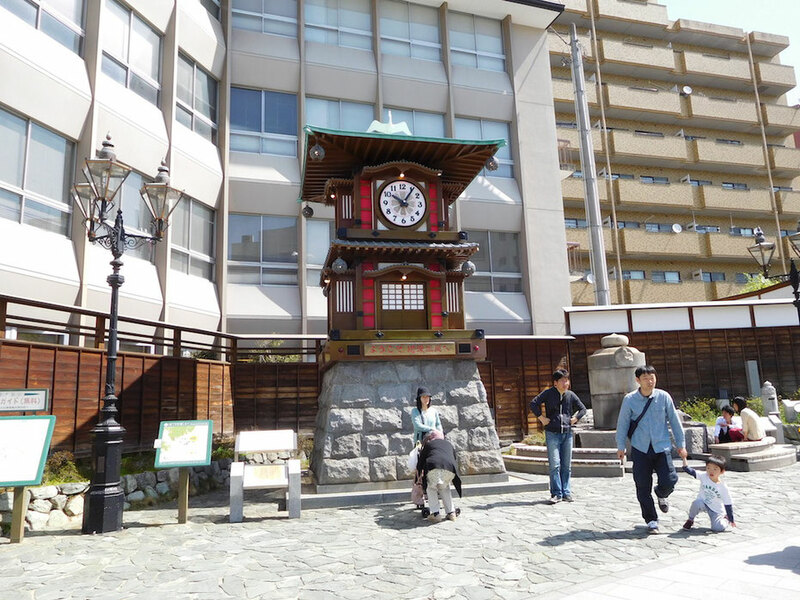 "Botchan Karakuri Clock" takes a turn on a hour from 8 am to 10 pm. 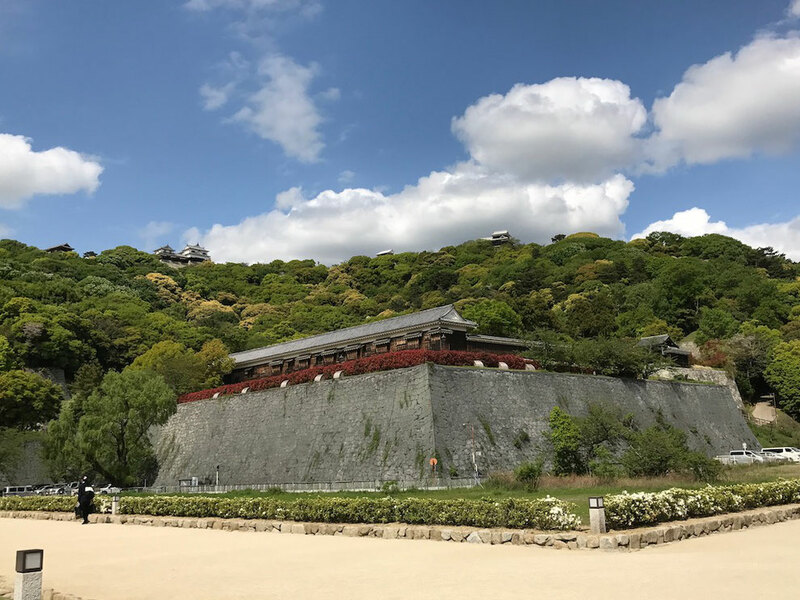 There is Matsuyama Castle which was built on Mountain Katsuyama, whose height is 132m in the center of Matsuyama City, Ehime Prefecture, Japan. 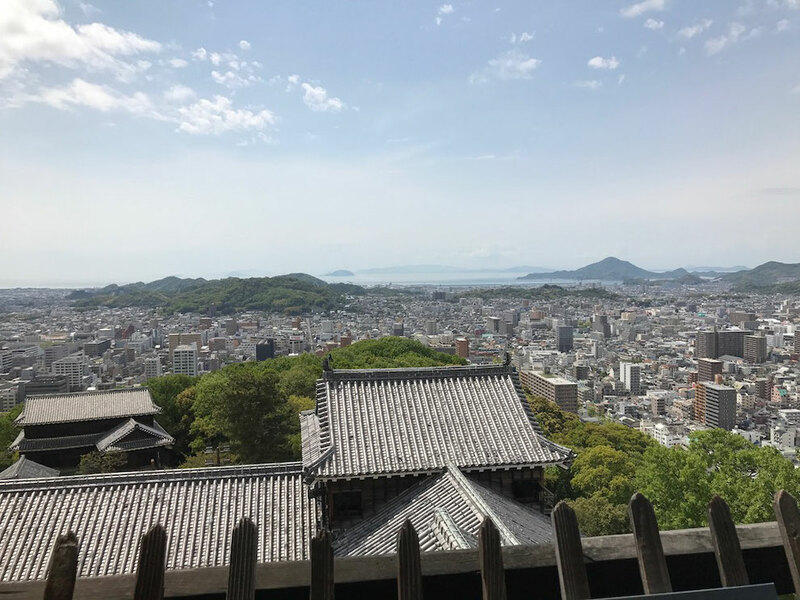 Matsuyama Castle was built by Yoshiaki Kato in 1602 , and the lord of Matsuyama Castle changed with Kato Family, Gamou Family, Matsudaira(Hisamatsu) Family. 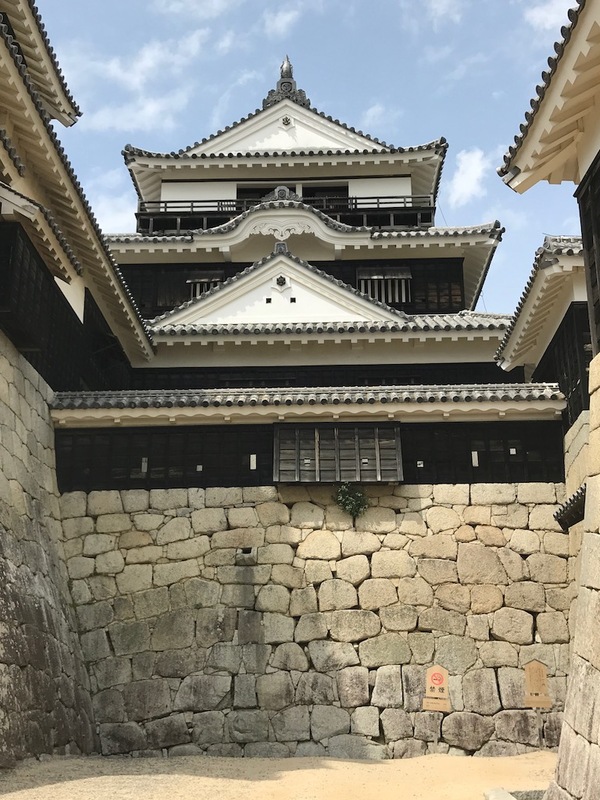 Current Matsuyama Castle's Castle Tower was built in 1854, and it is one of the 12 Castles with Existing Castle Towers. 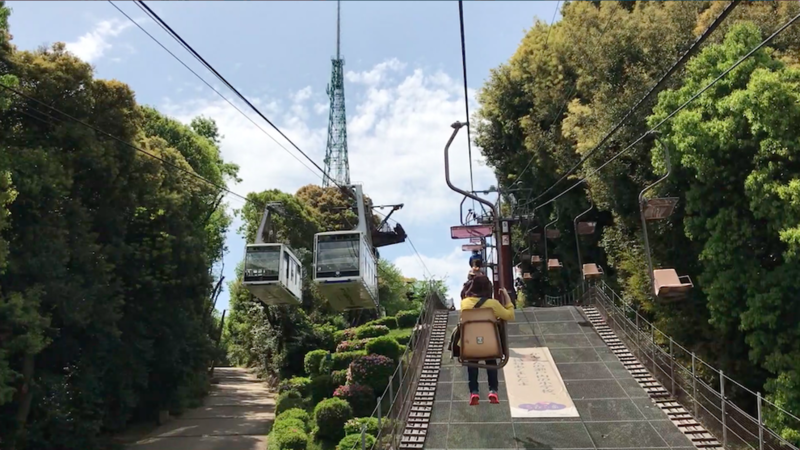 We can use a cable car and lift in order to go to Matsuyama Castle. A short walk from the place that we get off a cable car and lift brought us to big stone walls. 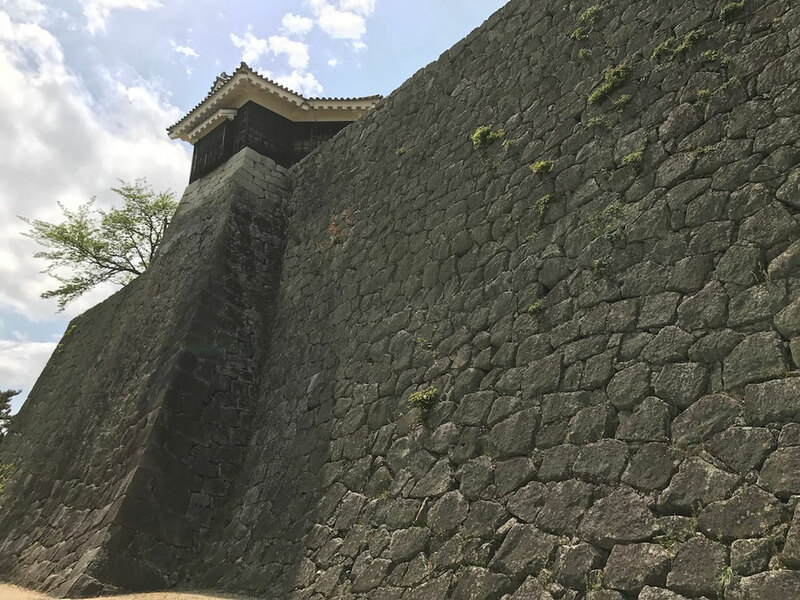 Matsuyama Castle was built directly after Battle of Sekigahara, and it has many facilities for war. 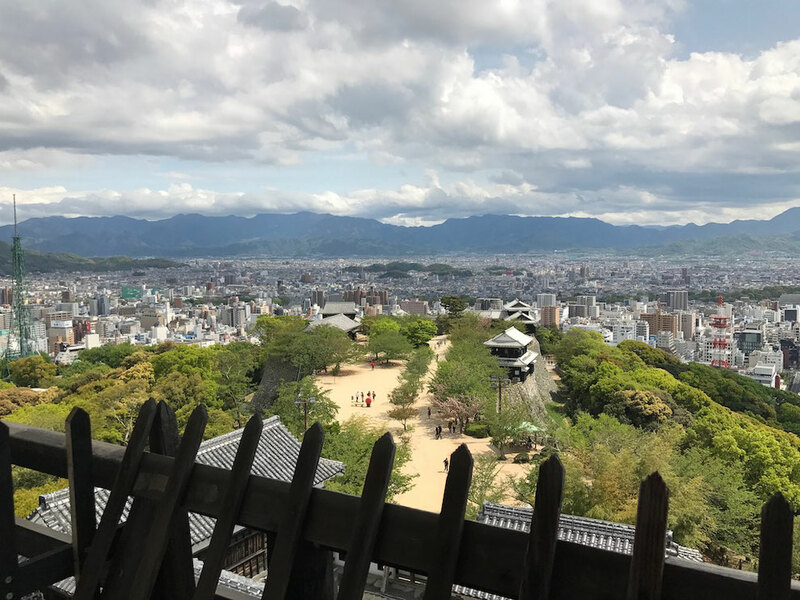 There are many buildings and gates in addition to Castle Tower in Matsuyama Castle and we can see them on the way to Castle Tower. 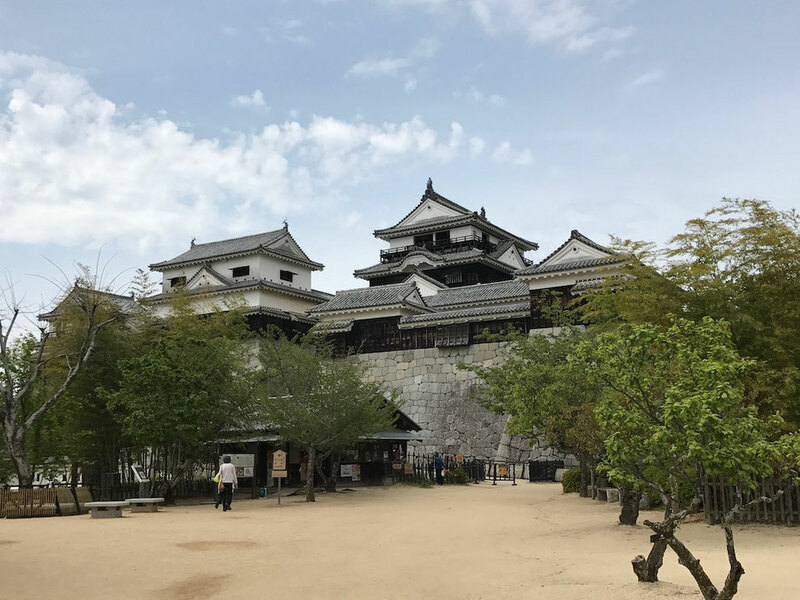 It is a lookout-tower-style Castle Tower interconnecting a large Castle Tower and a small Castle Tower and Sumi-Yagura and some gates. Castle Tower requires an admission fee and it is 510 yen(about 500 - 520 US dollars). A large Castle Tower has 3 tiers, 3 aboveground floor, and 1 underground level. 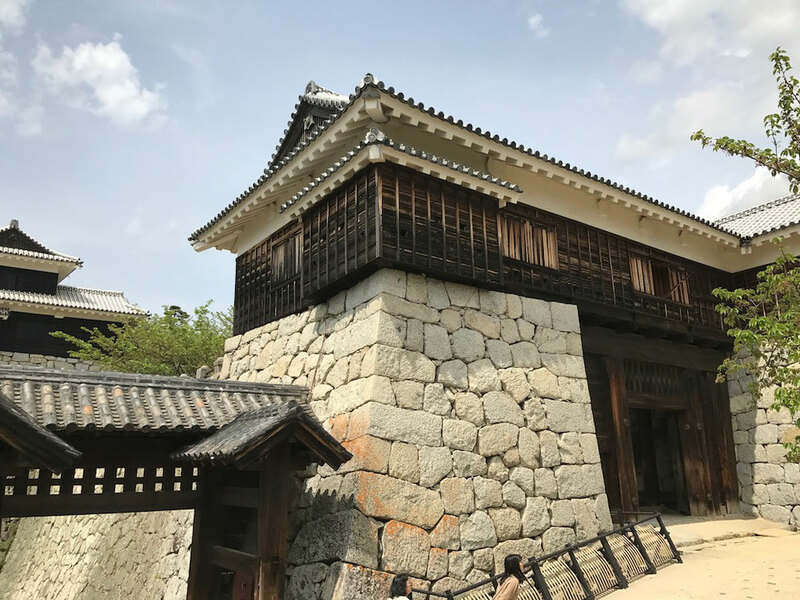 At first, it was five-story Castle Tower, but it was rebuilt to three-story Castle Tower by Sadayuki Matsudaira. 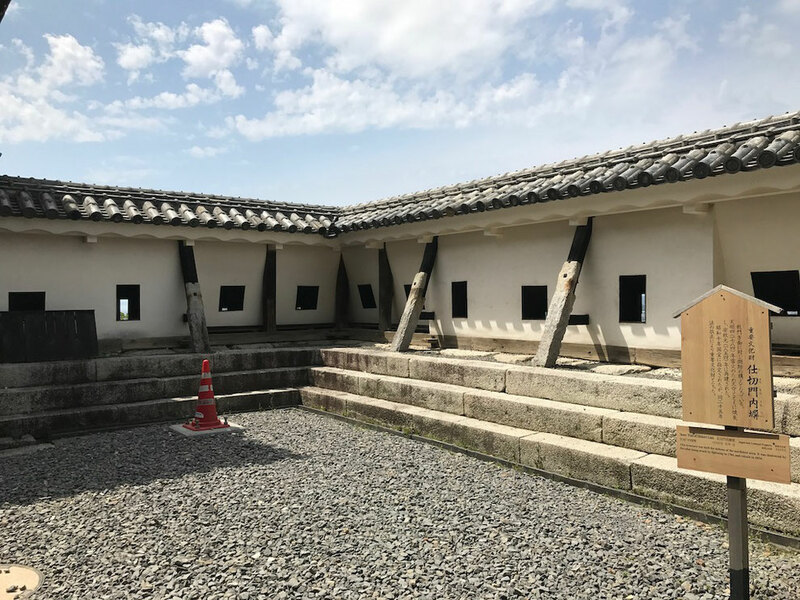 There are various theories about the reason of rebuilding : Earthquake resisting, Consideration for Edo bakufu(Tokugawa shogunate). The entrance of a large Castle Tower is 1 basement, and it is in the stone wall. 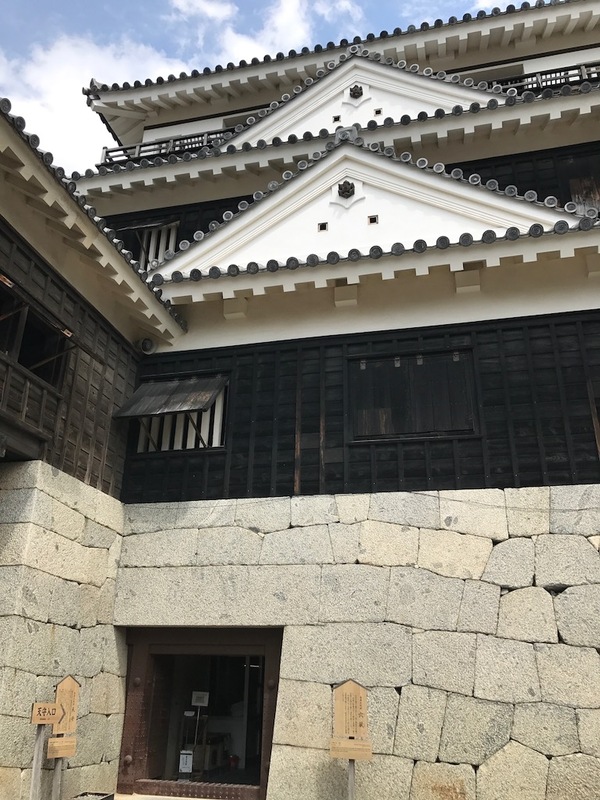 The inner part of Castle Tower is a museum of Edo period. 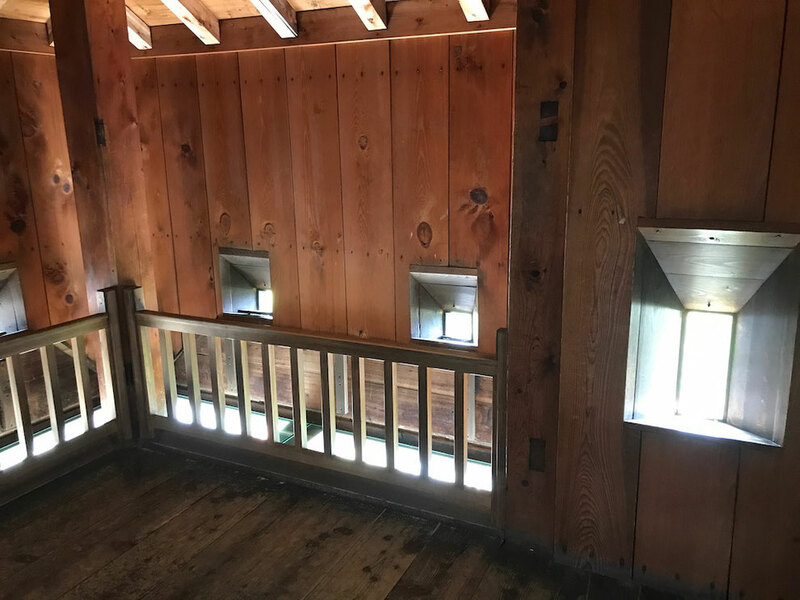 This is a facility in Castle Tower to drop big stones to enemy soldiers. 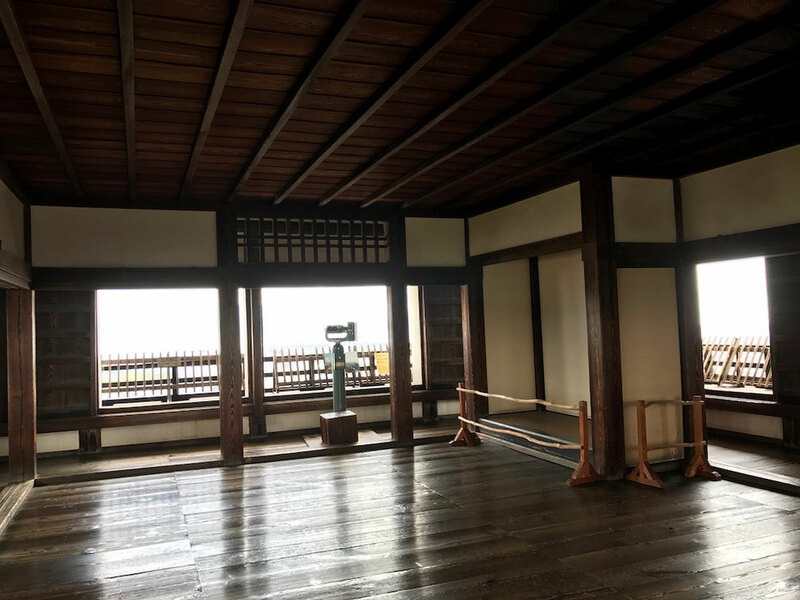 This is the top floor of a large Castle Tower. 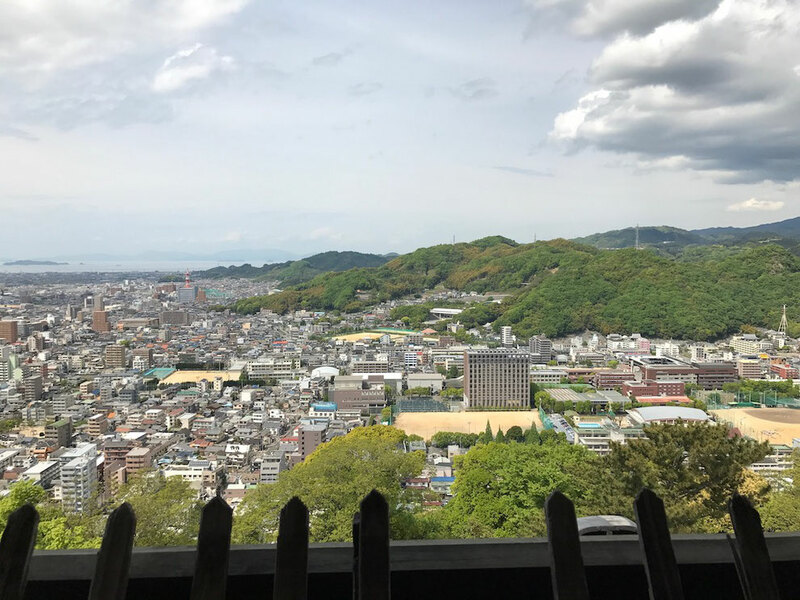 It commands a panoramic view of Matsuyama City. Castle tower has other good facilities. 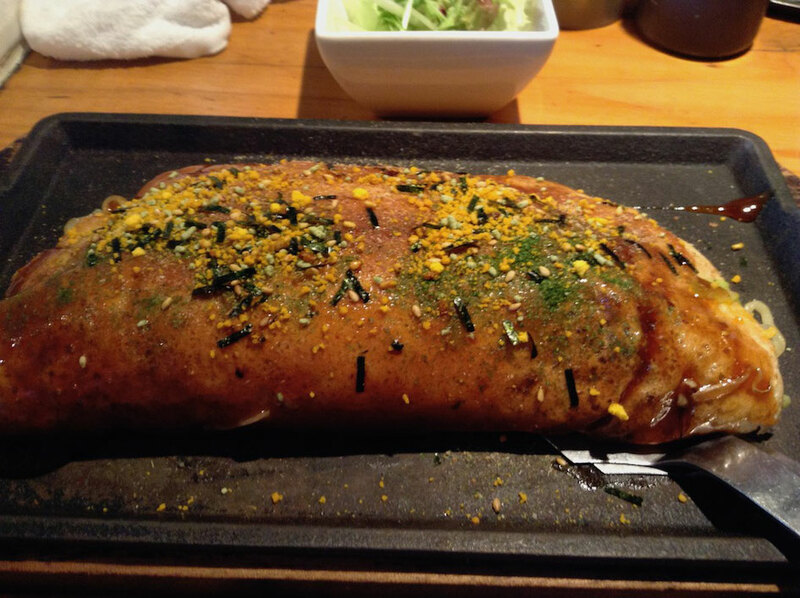 This is "Shikiri-Mon-Uchibei". It has some "Sama", holes for guns. This is "Ichi-no-Mon(Gate)". 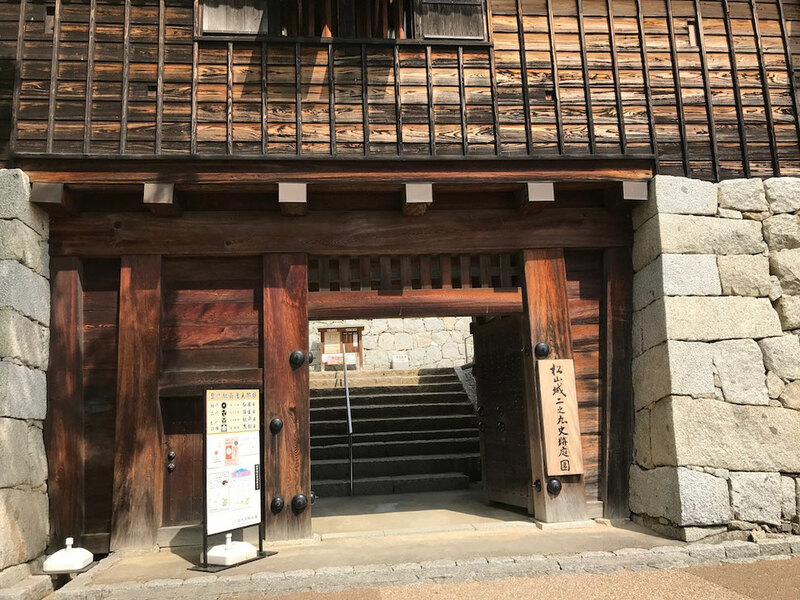 It is the gate of Castle Tower which was built in Edo Period. 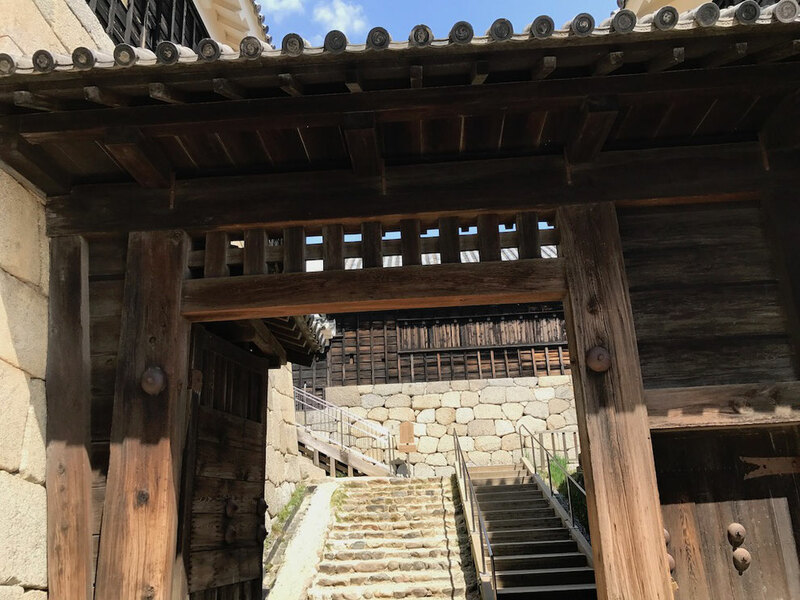 These 21 buildings and gates left from Edo Period are important cultural properties of Japan. And there is a tea house near Castle Tower. 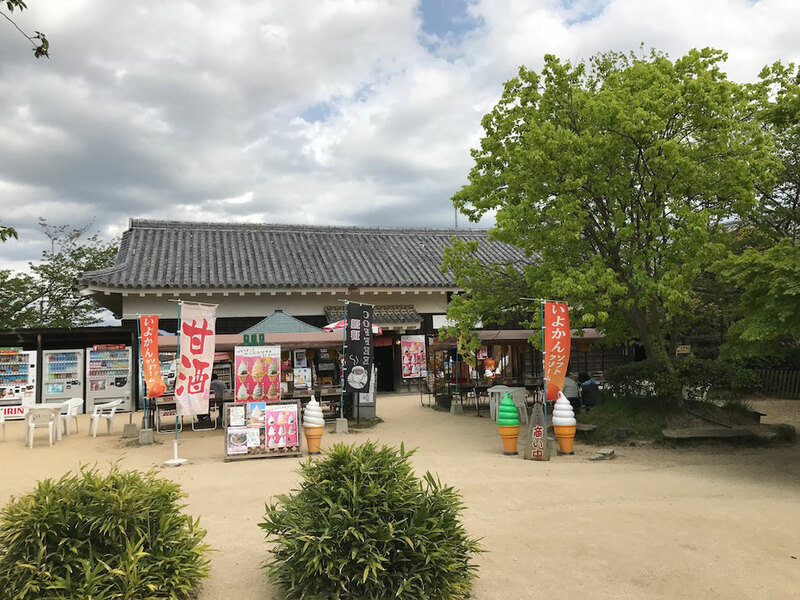 A famous food of this tea house is ice cream with "Iyokan". 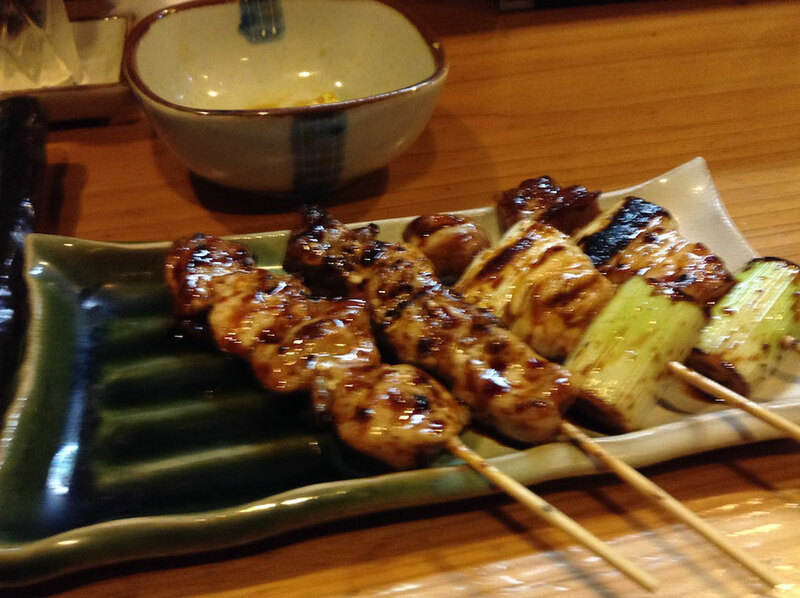 It has a grain of Iyokan and it is very delicious. 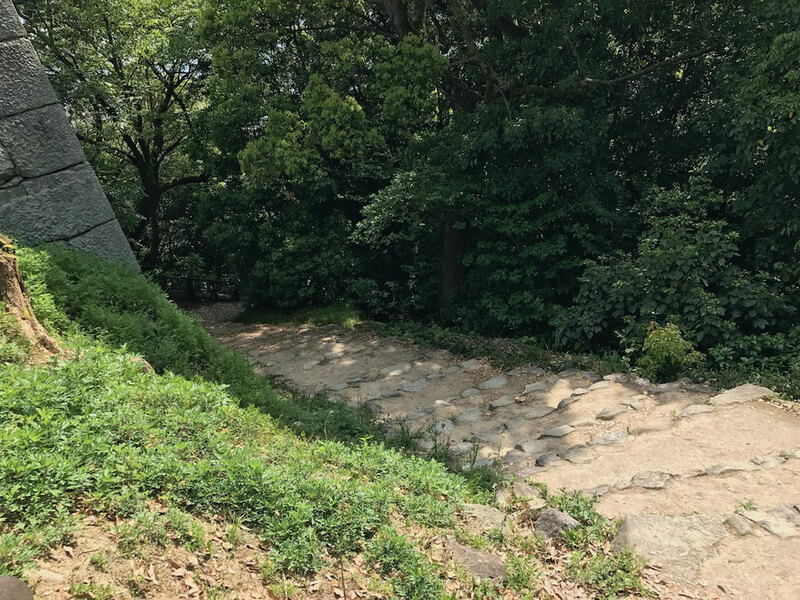 There is a mountain path from Castle Tower. 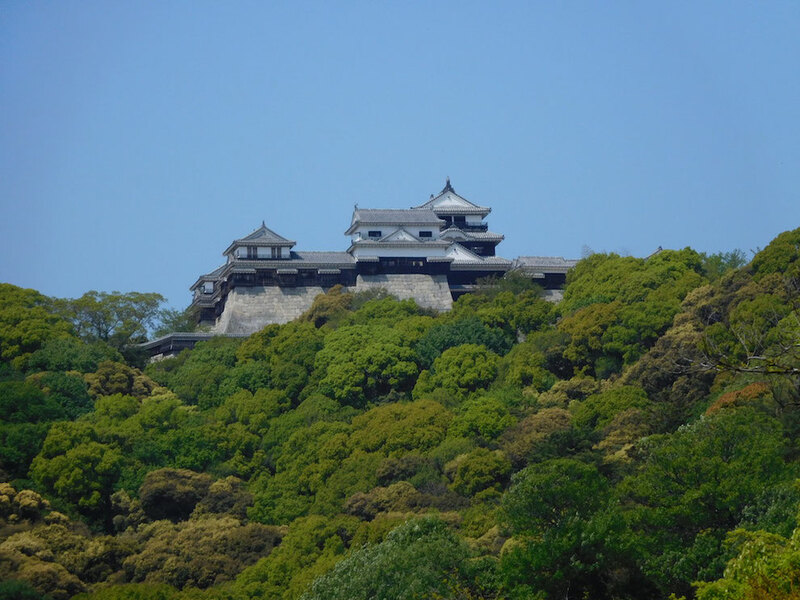 It is only five minutes walk from Castle Tower to Ninomaru. 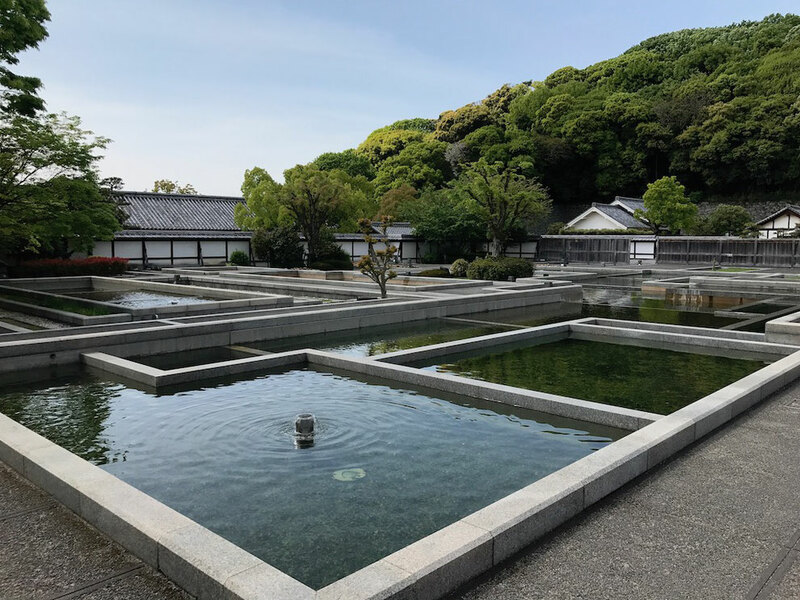 This is Ninomaru Historic Garden. 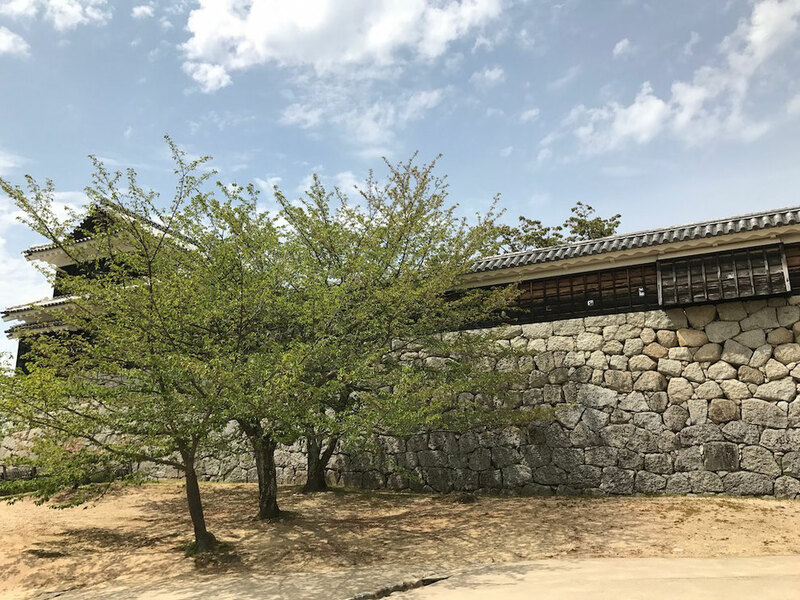 Ninomaru was place of the life of feudal lord in Edo Period and Ninomaru is maintained as a garden now. 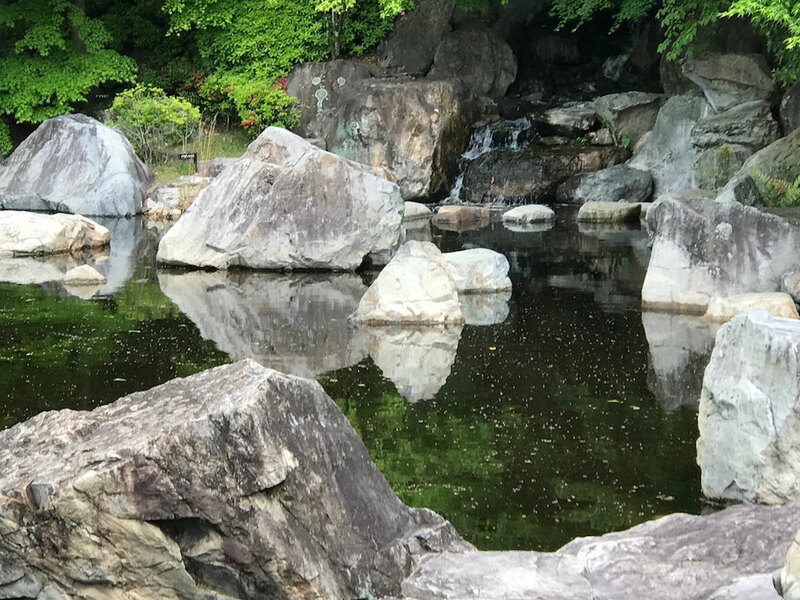 Recently, Ninomaru Historic Garden is specified as "The Holy Ground of Lovers". This is a remained sight of big well. 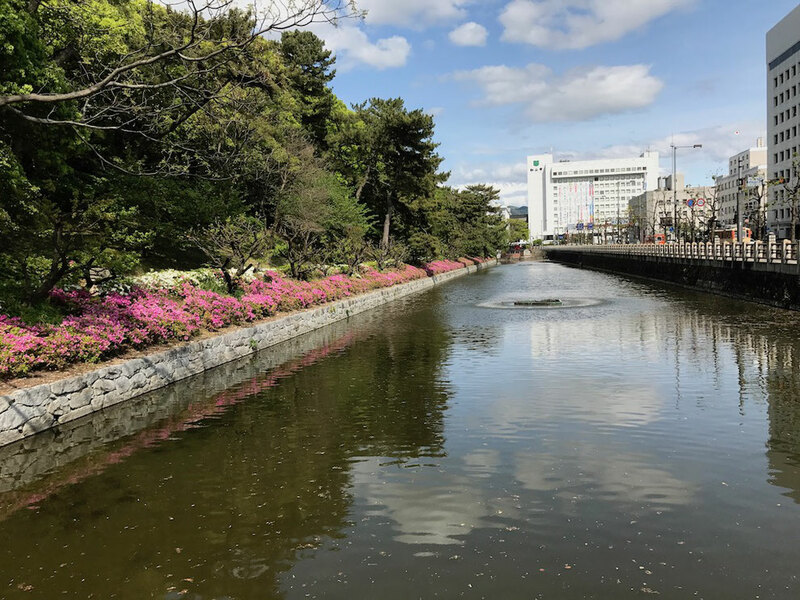 There is Shiroyama Park which was Sannomaru of Matsuyama Castle in Edo Period outside Ninomaru Historic Garden. 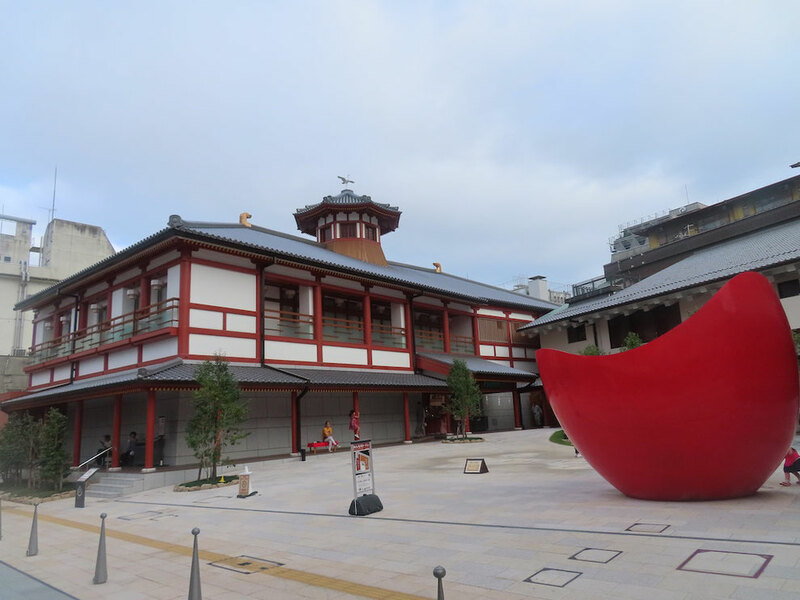 Now, there is a civic center, an art museum, a library and NHK in Shiroyama Park. And various events held in it. 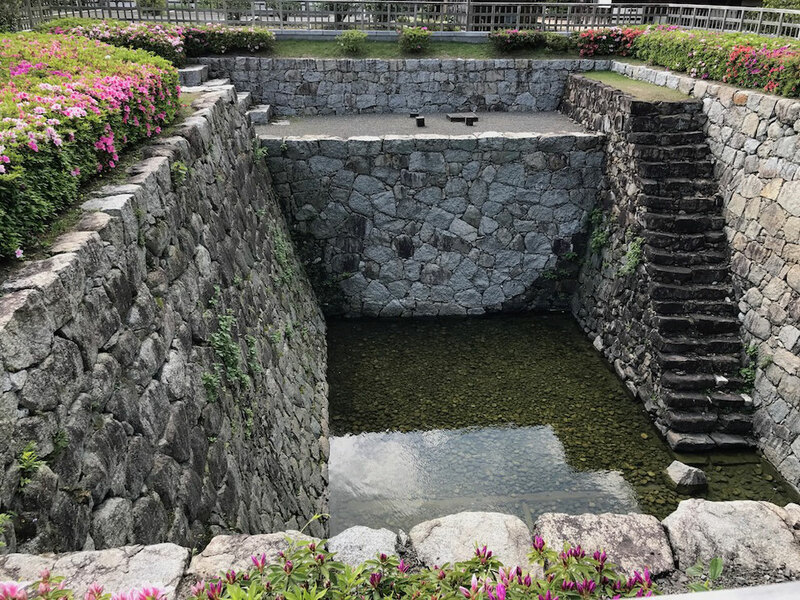 There is a moat of Matsuyama Castle around Shiroyama Park. 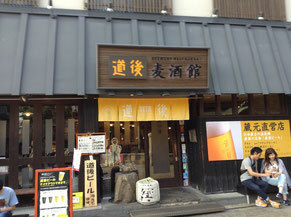 It serves an oasis for Matsuyama burghers. 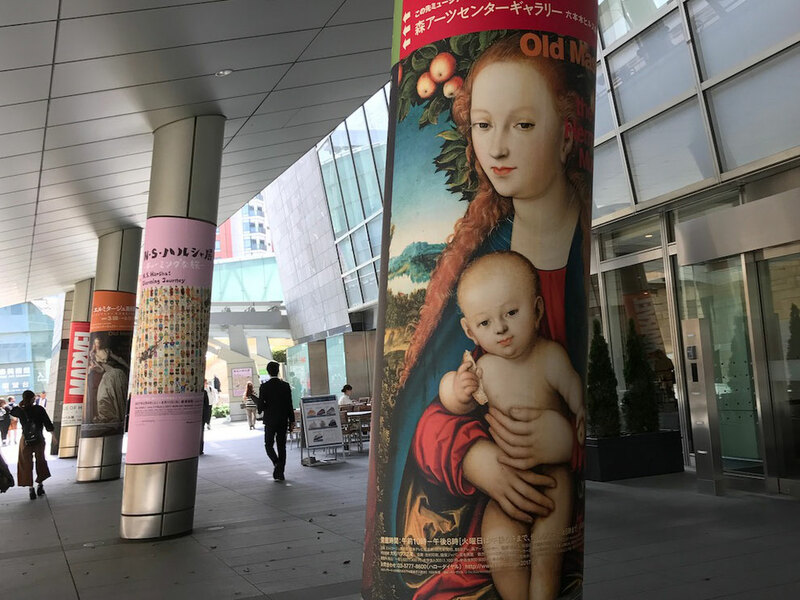 I appreciated “Old Masters from the State Hermitage Museum”, an exhibition held by Mori Arts Center Gallery in Roppongi Hills, Tokyo. Hermitage museum is a museum of art in Saint Petersburg, Russia and it has about 3 million art works. 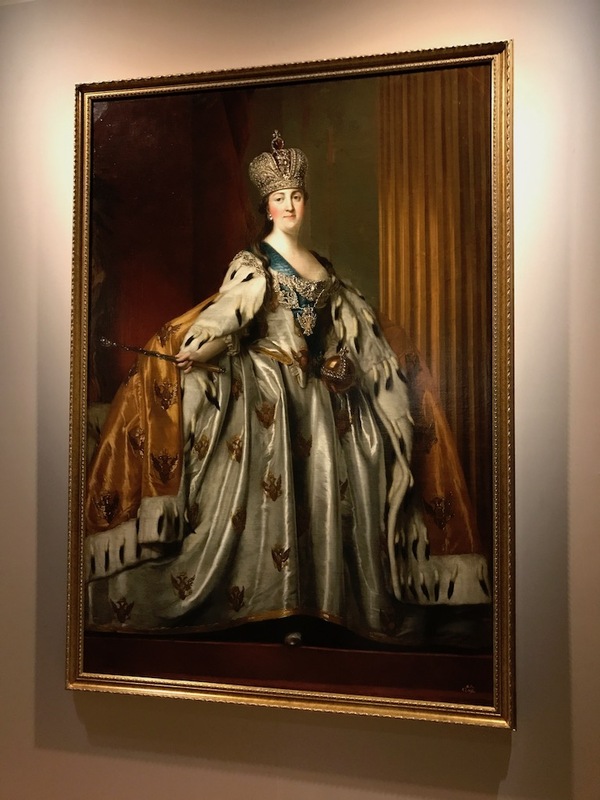 We can see Hermitage Museum’s beautiful collections at this exhibition. This exhibition’s oil paintings are very colorful and beautiful. There are detail landscapes like photos.